Unveiled! 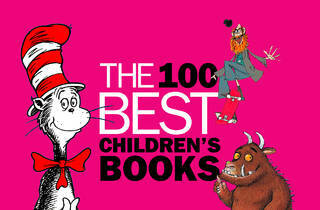 Time Out London’s 100 best books for kids, babies, toddlers and teenagers. 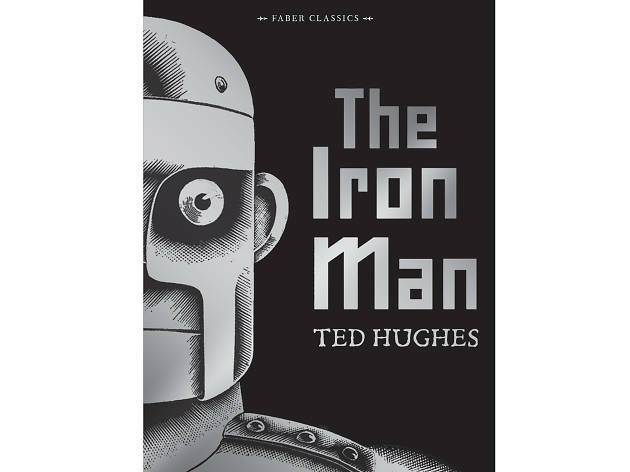 From classics to new works, picture books to sophisticated epics, here you’ll find reads to amuse and amaze, to offer first experiences and to fire young imaginations. 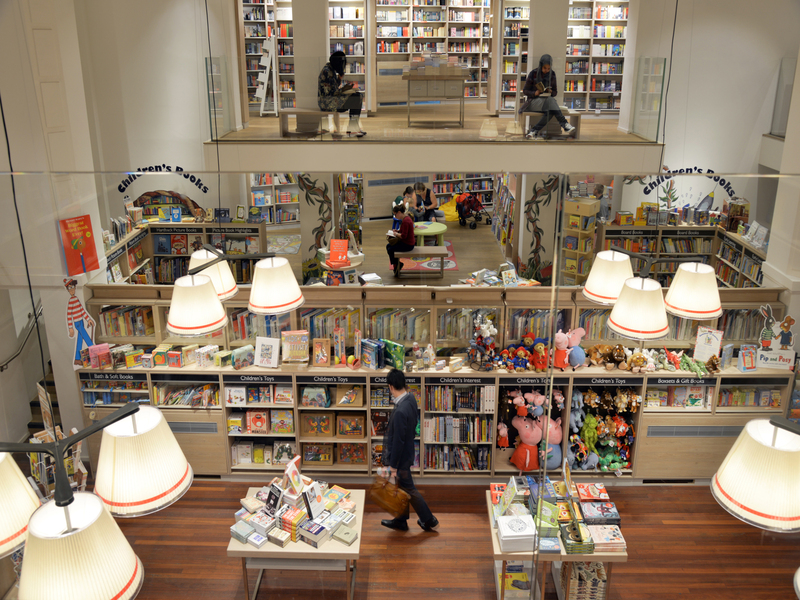 We invited the Time Out team, staff at London’s best children’s bookshops and many contemporary authors and illustrators to name their ten best children’s books. 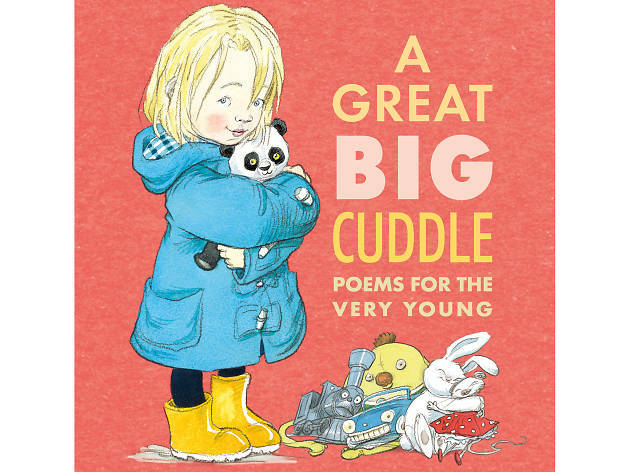 Special thanks go to the writers and artists creating brilliant books who took the time to nominate their favourites – Charlie Higson, Sophie Kinsella, Terry Deary, Cressida Cowell and Chris Riddell. 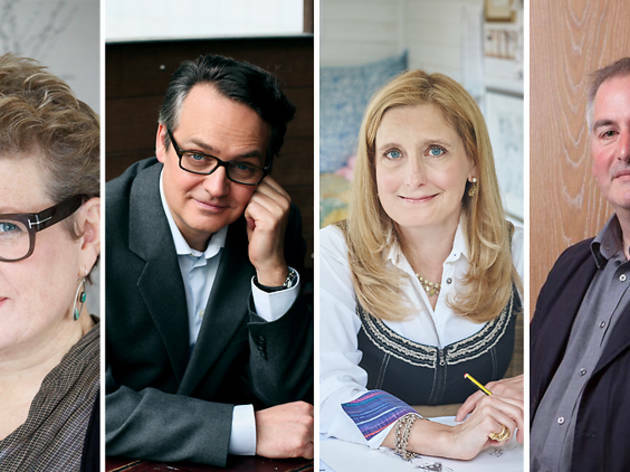 Our list is based more on passion than science and it’s worth pointing out that there are some writers who are so prolific that their votes were split across their repertoire. 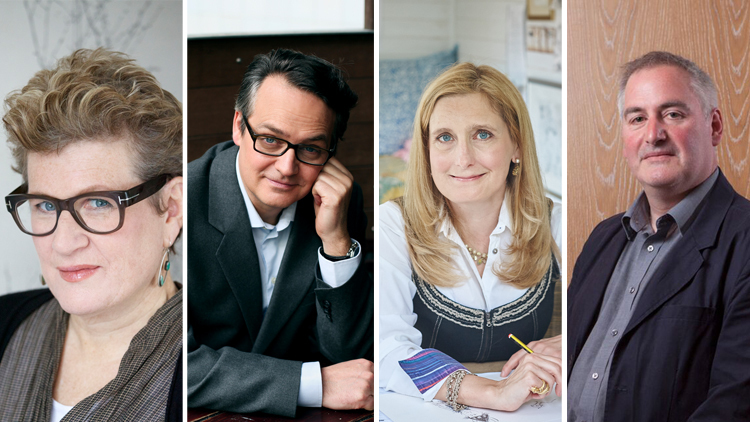 Jacqueline Wilson, Michael Morpurgo and David Walliams are all great writers who didn’t make it into our final 100. However, we're really pleased with our list of the best children's books and we hope it will inspire your family’s own adventures into children’s literature. We’ve also teamed up with the brilliant bookshop Foyles to bring you our favourite children’s books available to buy in one place. A pregnant mother prepares her child for the arrival of a sibling, highlighting all the good things to look forward to (ie not the tantrums or the sharing). 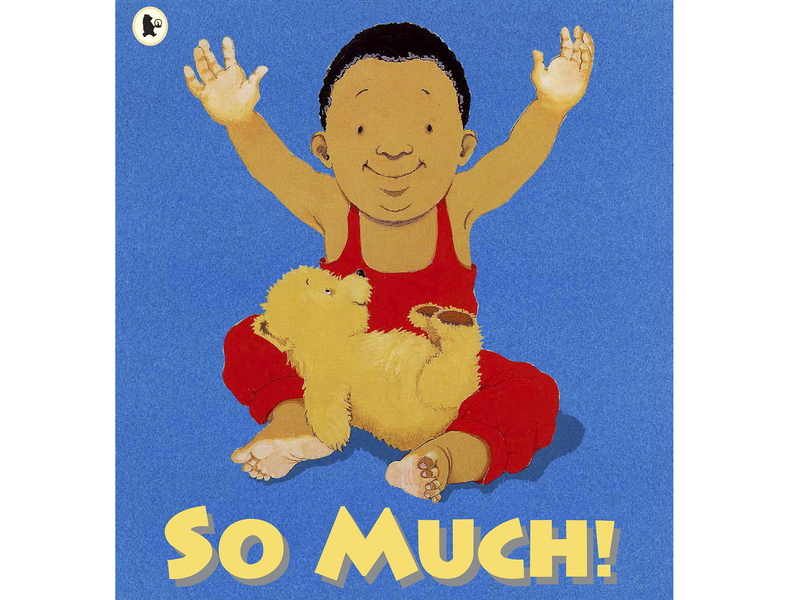 Picturebooks are a handy way to explain your bump to the rest of the family. ‘There’s a House Inside My Mummy’ by Giles Andreae is brilliant, too. 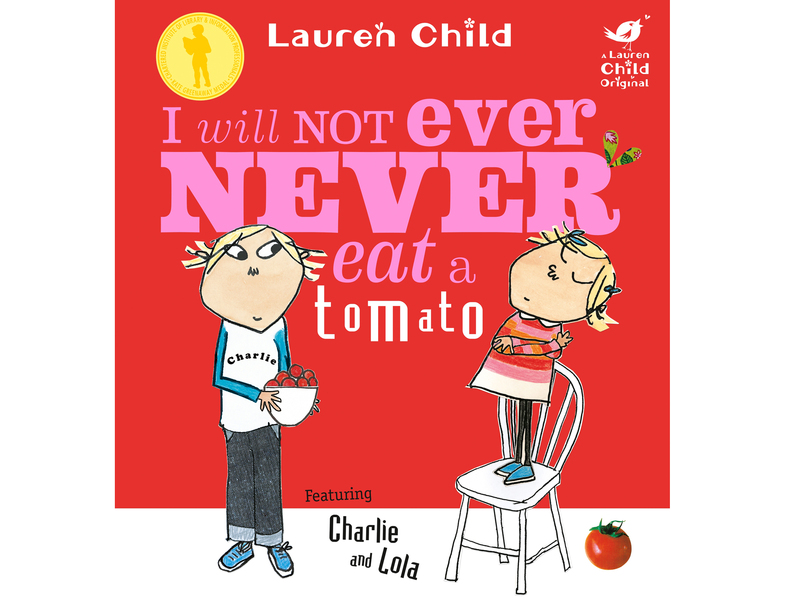 Quirky imagination and wry humour make this a wonderful book for fussy eaters. As always, older brother Charlie must talk his sister into something she doesn’t want to do. Lola won’t eat her tea, until Charlie tells her carrots are really orange twiglets from Jupiter and peas are greendrops from Greenland. Disgruntled Barry Bennett wishes he had better parents (fun ones who let him do what he wants). 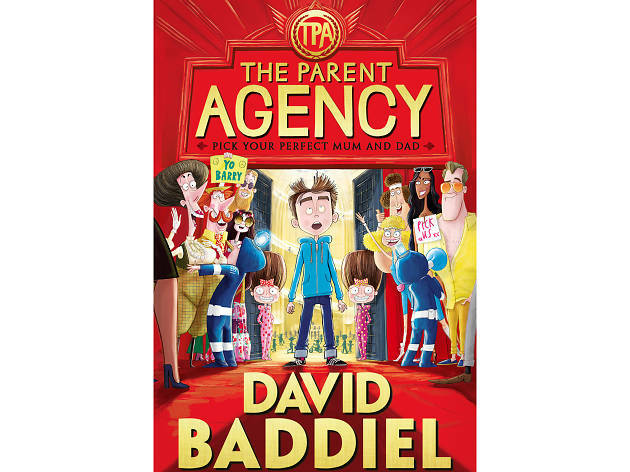 Barry’s life is turned upside down when he gets his wish and finds himself in a world where kids choose their parents. Funny, smart and unpredictable. Having accidentally exchanged blood with a leopard cub, Charlie Ashanti can speak ‘cat’. This ability proves invaluable as he befriends a team of lions in his search for his parents, who discovered a cure for asthma and have mysteriously gone missing. 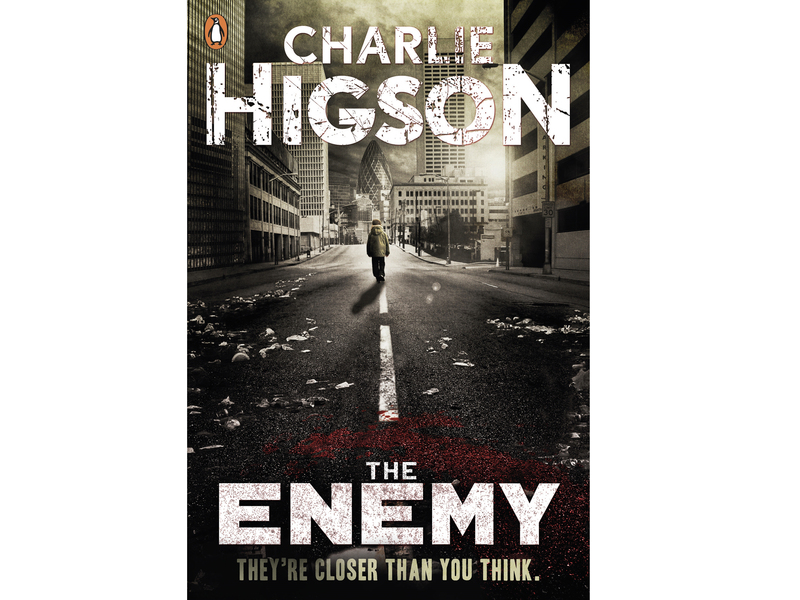 This is the first book in a well-crafted, thrilling trilogy. Meet three friendly and (just slightly) feisty cats in this sweet and simple lift-the-flap book by author and illustrator Viviane Schwarz. 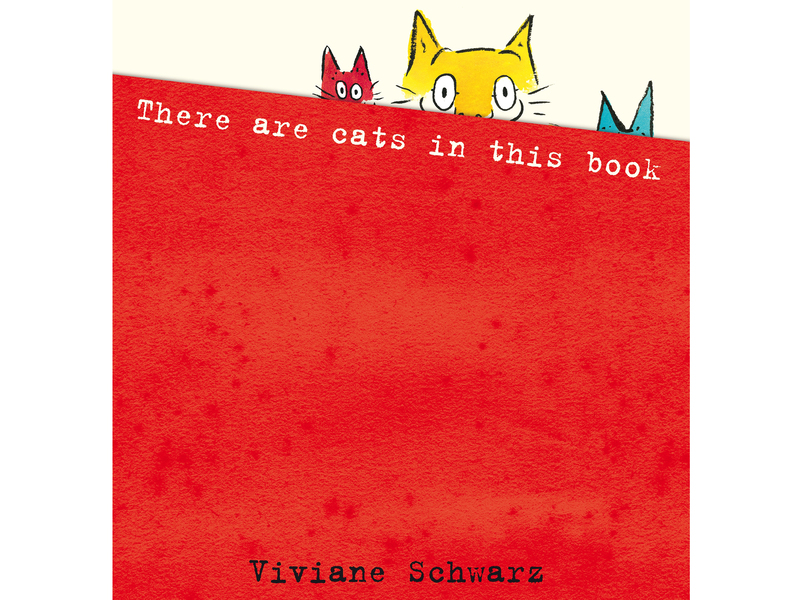 Clever and funny, the pages talk directly to the reader as we go on a mild feline adventure before bedtime. 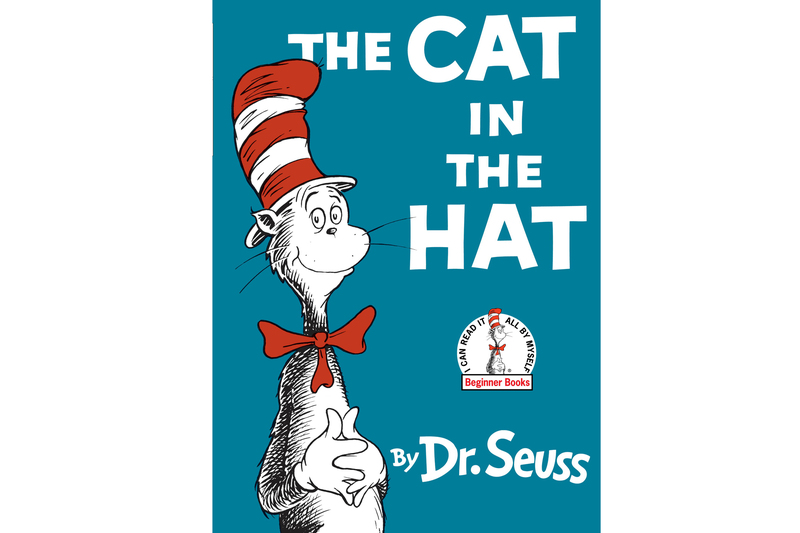 Also recommended, ‘There Are NO Cats in This Book’ and ‘Adventures of a Nose’. 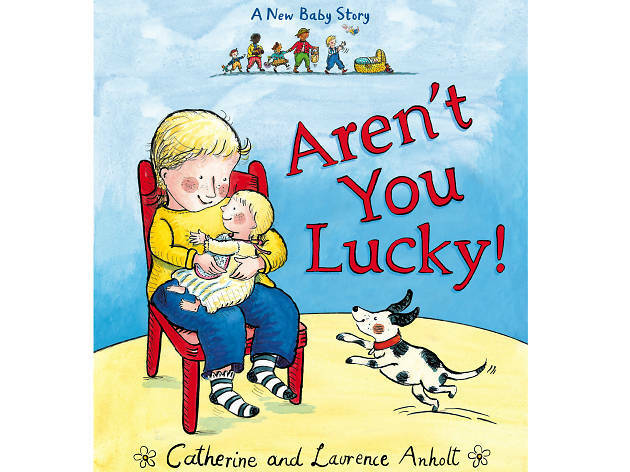 Even very young babies can enjoy the illustrations and lilting narrative of a really good picturebook like this one. As different family members arrive at the door (‘Ding dong!’) there are lots of hugs and kisses because everyone loves the baby SO MUCH. A colourful and comforting read. 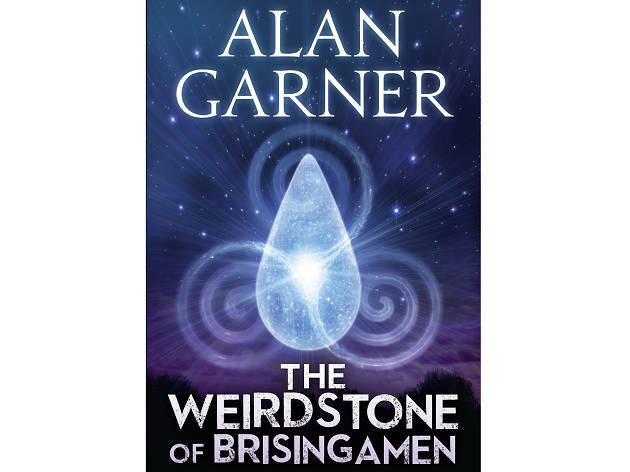 This fantasy adventure is a 1960s classic in which modern and medieval worlds collide. Colin and Susan encounter a wizard who shows them an underground cave where 140 knights lay in enchanted sleep. They must help the wizard find the lost, magic Weirdstone that keeps the knights safe. A mysterious giant terrorises the land but the people cannot destroy it. However, when the world is threatened by a terrible monster, the metal beast becomes their saviour. 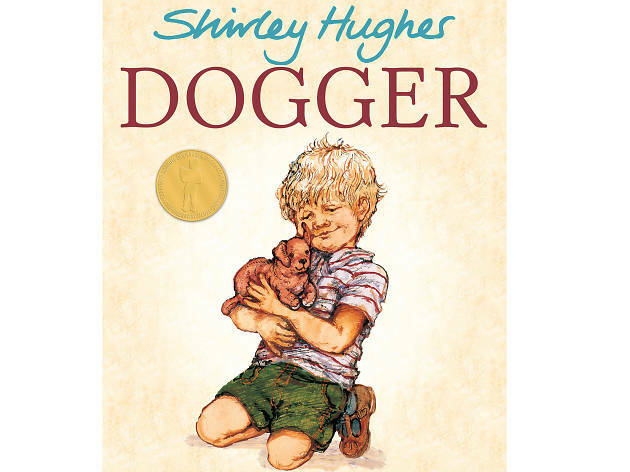 Hughes’ descriptions are powerful and poetic, and his story of acceptance is compelling stuff for children starting to read alone. Did you forget that the film franchise was originally a series of novels? 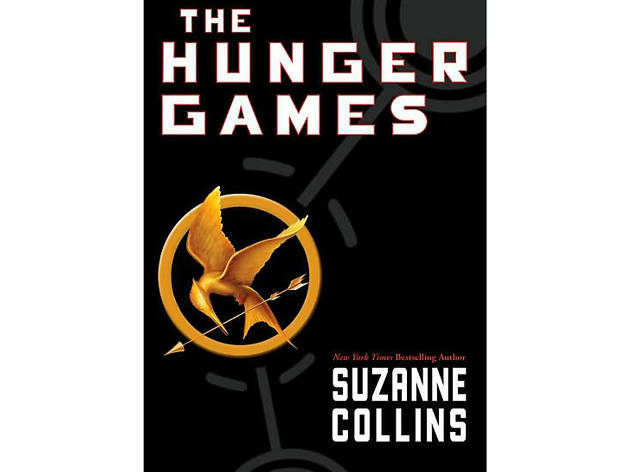 The trilogy follows the fate of 16-year-old Katniss Everdeen as she is forced to enter a TV game show in which competitors fight to the death. Smartly written, this futuristic thriller is great for luring teens back to the printed page. 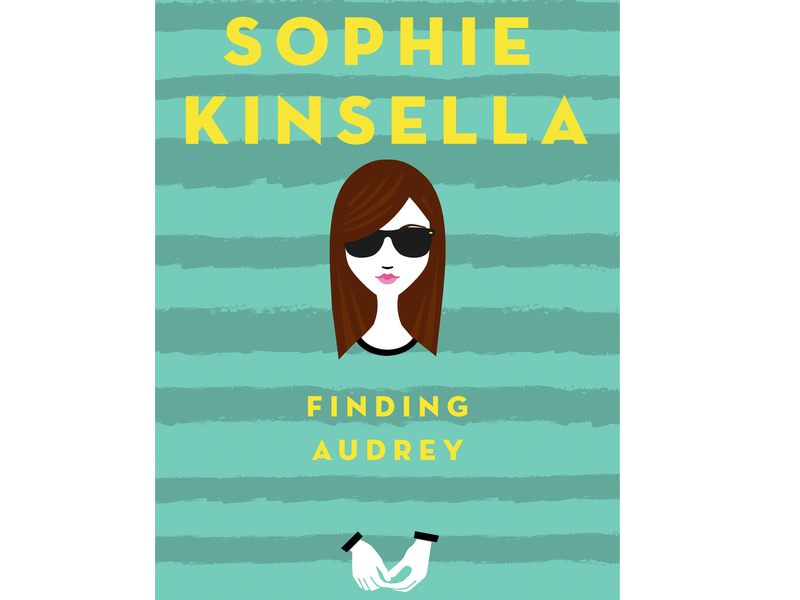 Following her hugely successful ‘Shopaholic’ series for adults, ‘Finding Audrey’ is Kinsella’s first teen fiction story – a witty adventure of the heart, set in the real world with just enough added glam fun to give 13-plus readers a sense of escape. Who wouldn’t love an auntie who runs a joke shop at the seaside? Certainly not Charlie, even if he has to suffer his smarty-pants cousin. However, when Charlie finds himself caught up in a missing jewellery mystery, his cousin might prove to be a useful ally. At any time of the day, sharing a book is one of the best ways to bring calm to wild family life. 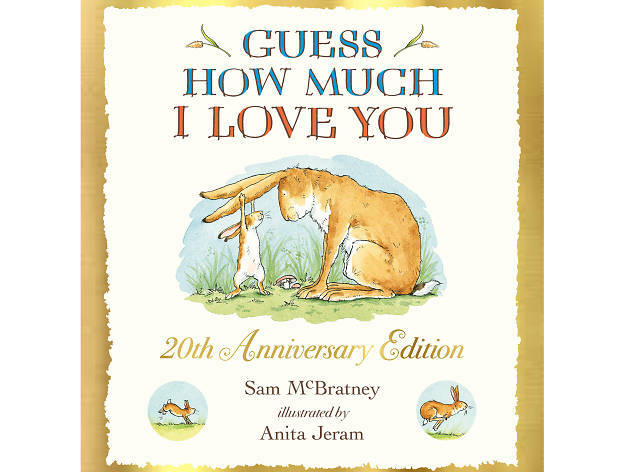 No wonder then, that this classic with its simple, reassuring conversation between a parent and child rabbit and its soothing watercolor illustrations has sold over 28 million copies. 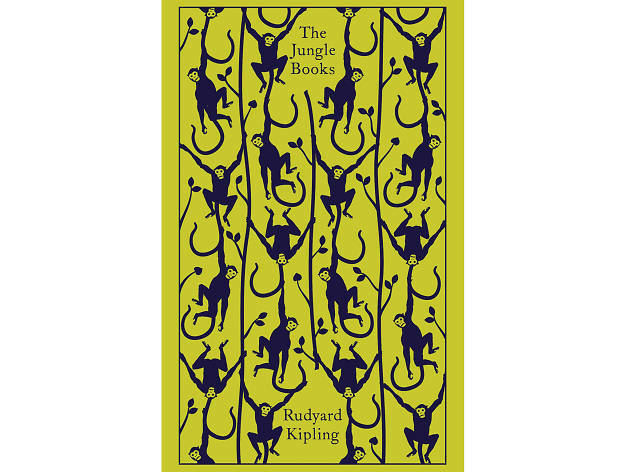 Kipling’s wry adventures about the creatures of the Indian jungle were originally created for his daughter, who died age six. 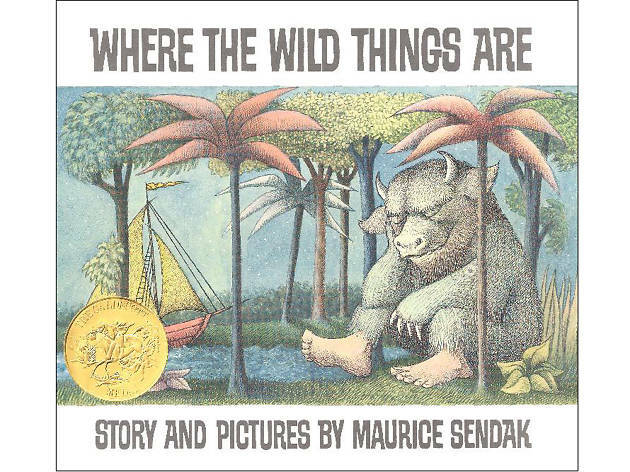 First published over 100 years ago, they were populated with fabulously named wildlife and Mowgli, a boy raised by wolves, and were adopted by the Scout movement long before Disney. 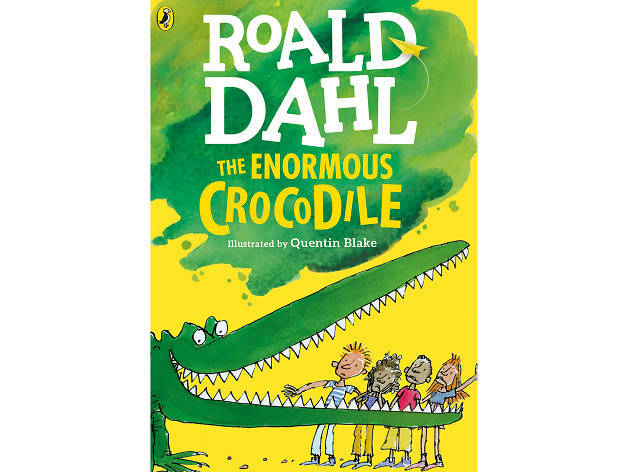 Although it’s one of his stories for younger readers, Dahl doesn’t pull any punches – this Crocodile is in search of a juicy child or two to EAT! But fear not, as the toothy terror goes about his carnivorous mission, there’s a comic twist to the tale. Silly and smart. 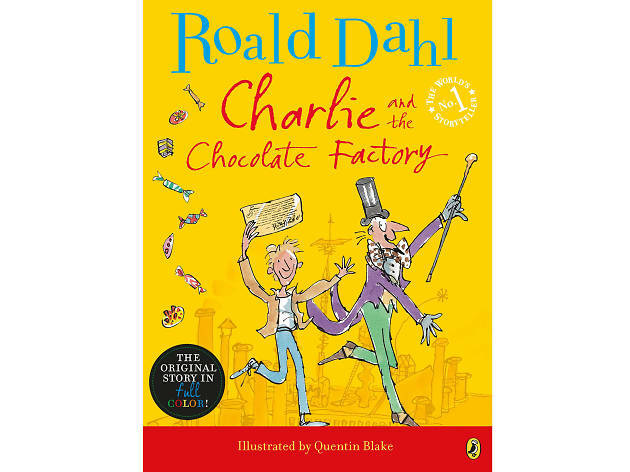 Dahl paints a joyously grisly portrait of a married couple who play nasty tricks on each other, enslave monkeys and trap birds for pies by gluing tree branches. 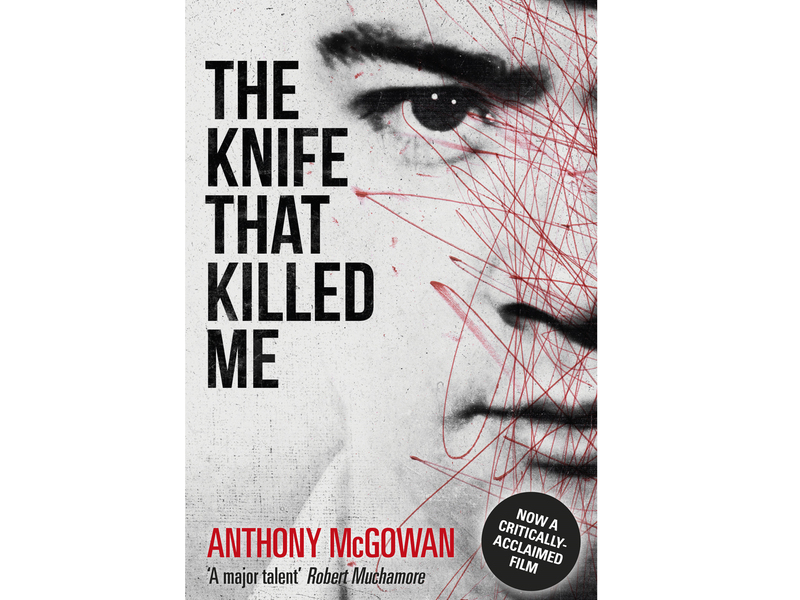 Gruesome, yes, but perfectly pitched at under-eights with a robust sense of humour. And of course, The Twits get their just desserts in the end. 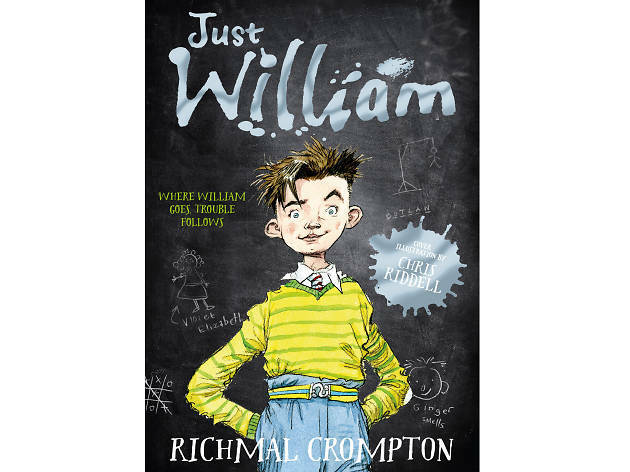 Although William first appeared in 1922 with his pranks, high-jinks and dodges, Crompton’s pacey writing and ability to create rich and ridiculous characters with a deft wit have ensured William’s adventures still amuse and inspire naughty school children today. 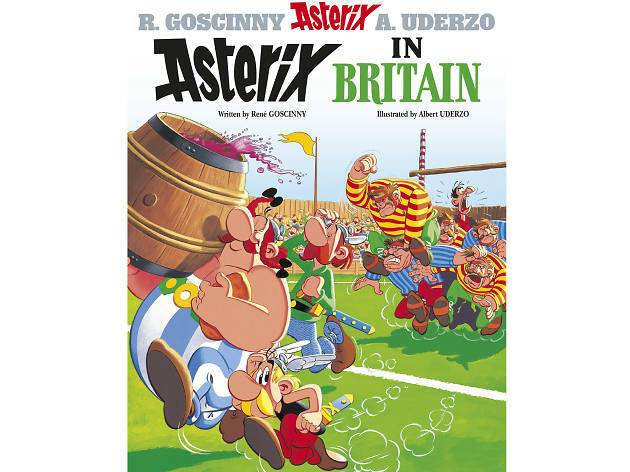 Other Asterix adventures were nominated, but this got most votes. 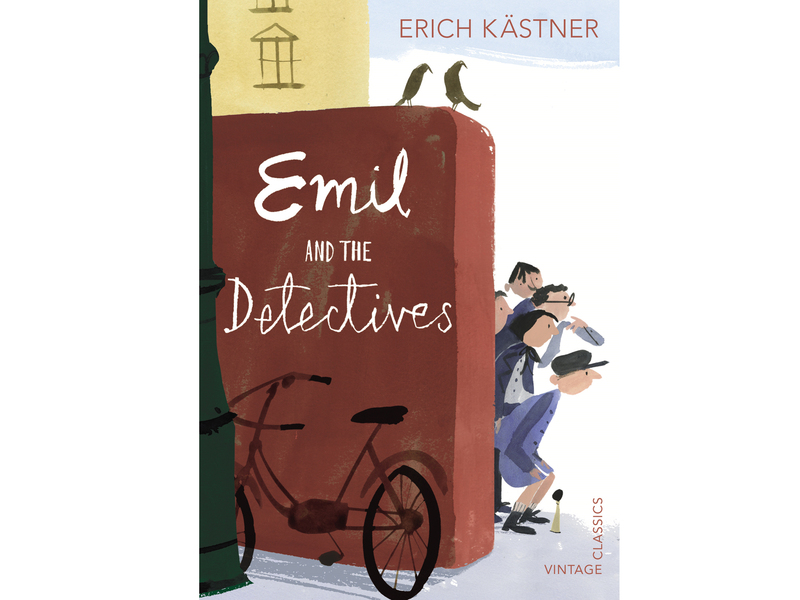 The stories are more self-mocking than Hergé’s Tintin adventures, but it’s another great comic series proving that children’s literature isn’t limited to prose. Here, plucky Gauls Asterix and Obelix join forces with Britons in the fight against the Roman baddies. Snot, slime and bogeys – what’s not to like? 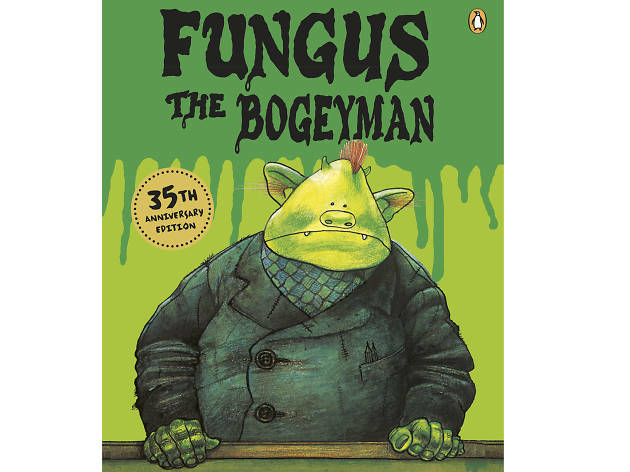 ‘The Snowman’ might be a more softhearted picturebook and ‘When the Wind Blows’ might be more serious, but Briggs’ Bogeyman is a funny, simply told comic-strip to amuse even the most reluctant reader. 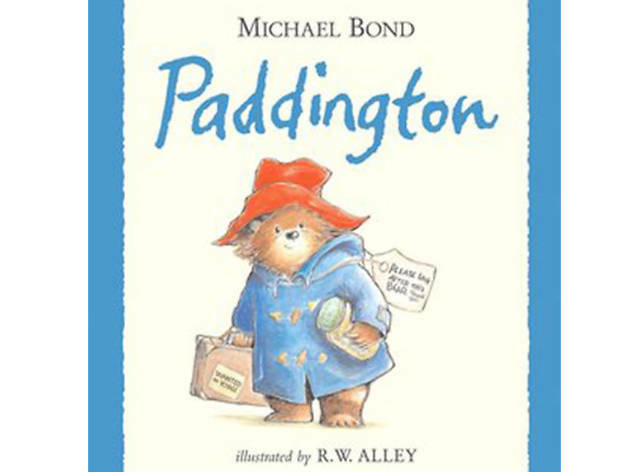 Child has such a dry sense of humour and a knack for talking intelligently to young readers. Plus of course, her mix of collage and illustration is colourful, funky and stylish. 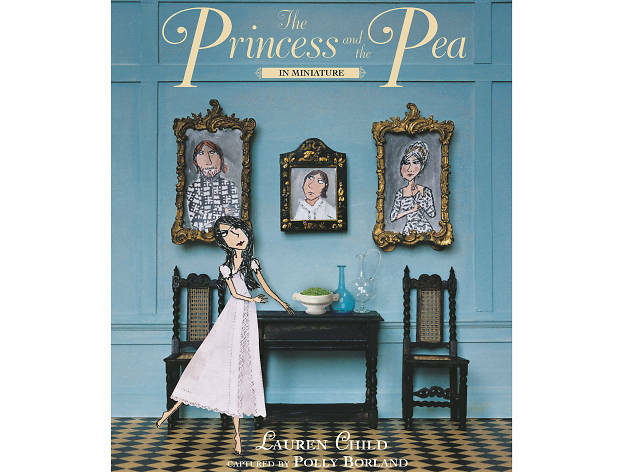 As a result, this post-modern retelling of a classic fairytale is essential reading for girls and boys who prize quirkiness over convention. 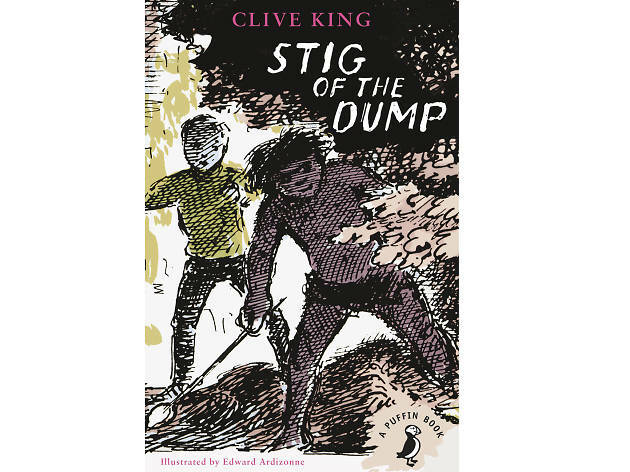 This is typical Blake – pages festooned with detailed, colourful sketches and eccentric characters doing charmingly silly things, in rhyme. 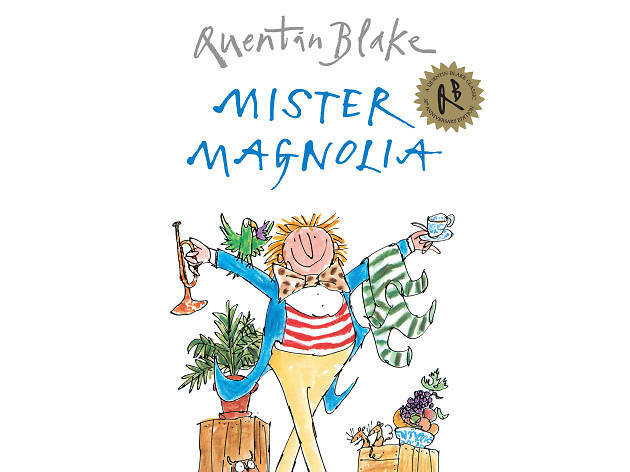 Mr Magnolia has only one boot (and a trumpet that goes rooty-toot, and sisters who play the flute… you get the idea). Could a mysterious parcel be what he’s looking for? Picturebooks like this are brilliant for exploring concepts like friendship. 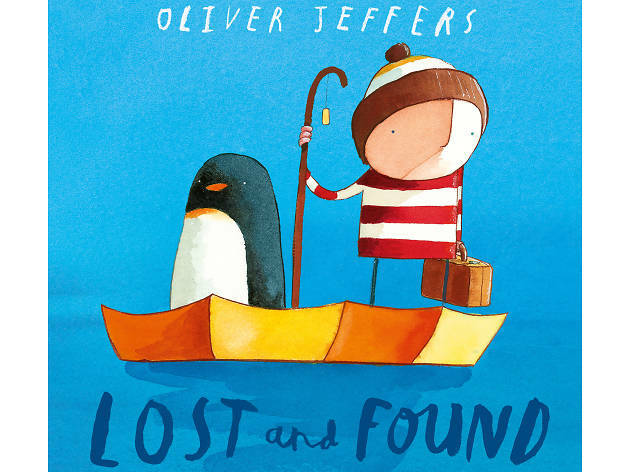 A penguin turns up on a boy’s doorstep and the pair go on a quest to find its home. Braving the seas, it’s only after the boy delivers the penguin back to the South Pole that he realises he doesn’t want to leave the creature behind. 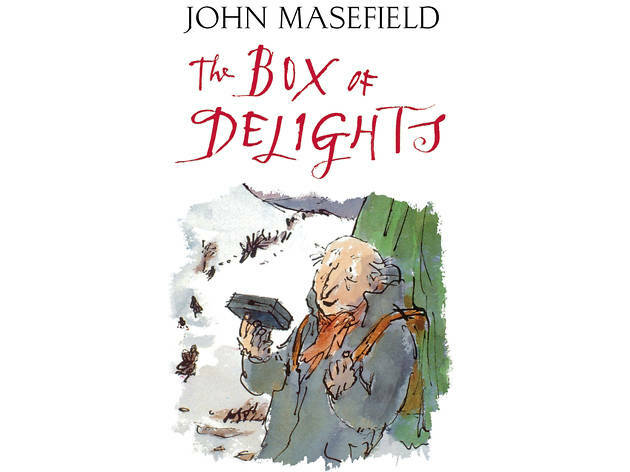 Adapted for TV by Charlie Higson, this was the first in a series about an absent-minded boffin and his bumbling friend Colonel Dedshott. Still funny and fresh, despite references to housekeepers and library cards from the period in which it was written. 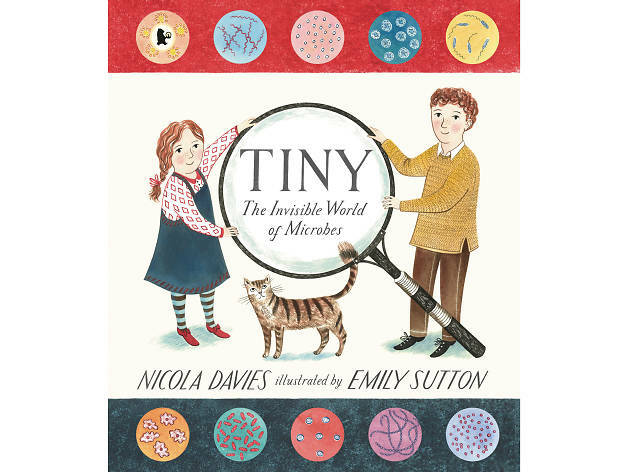 Get them learning science early, with playful picturebooks like this romp through the world of micro-organisms. Explore how we catch a cold, what bacteria go into yoghurt and all kinds of other fascinating facts, simply and entertainingly explained. After his family is murdered, a toddler wanders into a cemetery where he finds himself adopted and raised by its inhabitants (yes, the dead ones and a guardian who seems to hover between the living world and the afterlife). 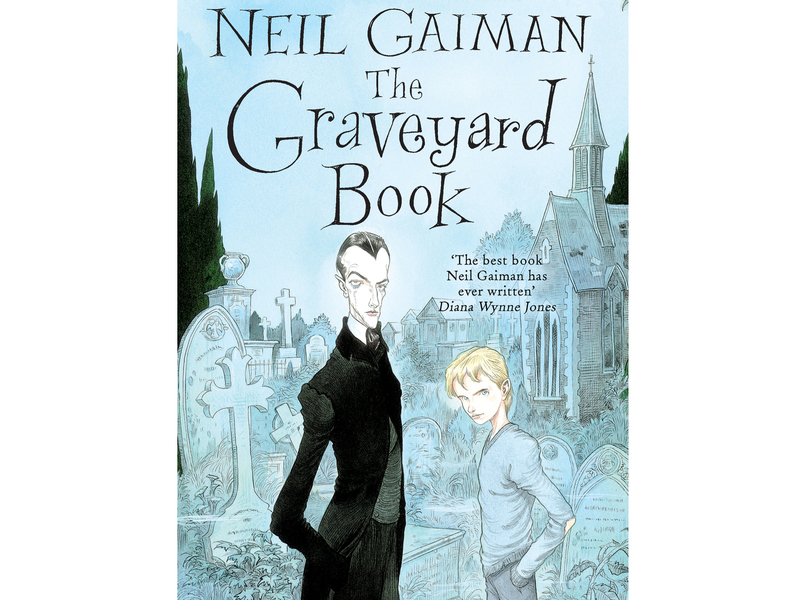 Darkly magical, Gaiman’s crafted narrative skills make this award-winning book a compelling read. Children learn so much from listening to us talk, long before they can express themselves in words. Rosen’s funny, insightful rhymes are a perfect way to nurture a love of poetry and language. Easy to read, and lovely to share thanks to Riddell’s sketched artwork. A stranger in a foreign world is always a good vehicle for comedy and a chance to explore acceptance and understanding. 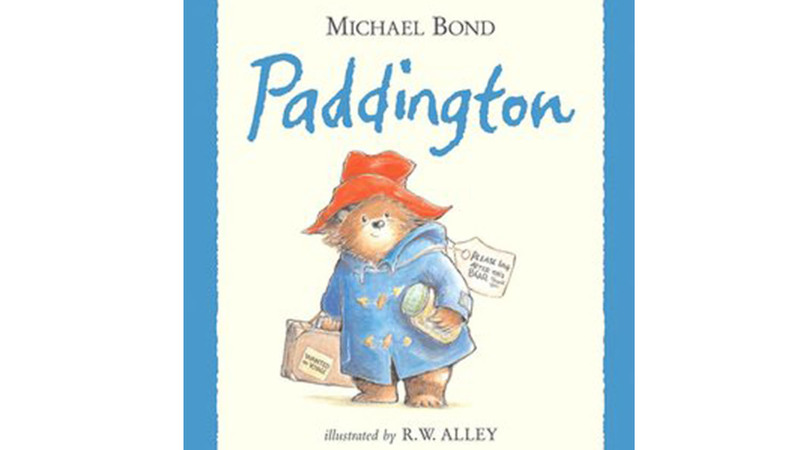 Especially when the hero of this odyssey is a charming, accident-prone bear. Don’t settle for the film – Bond’s humour throughout each adventure in this 50 year-old series is a joy. 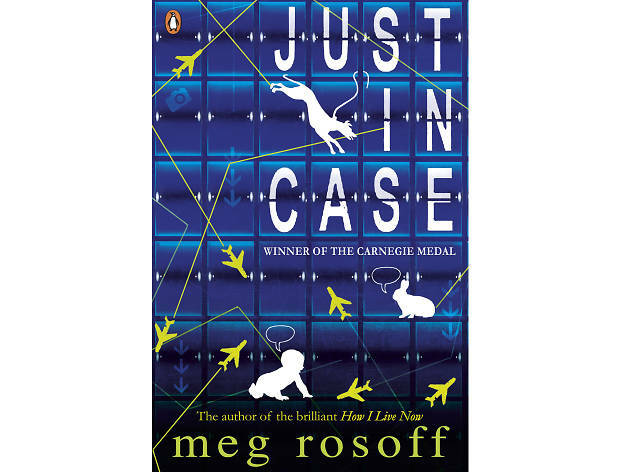 Rosoff has an easy, flowing narrative style and an eye for the remarkable in the everyday, which makes her books crackle with tension and detail. Dramatic and intelligent, ‘Just in Case’ follows the story of David Case, whose destiny is thrown into chaos when he saves his brother’s life. Also recommended, ‘How I Live Now’. 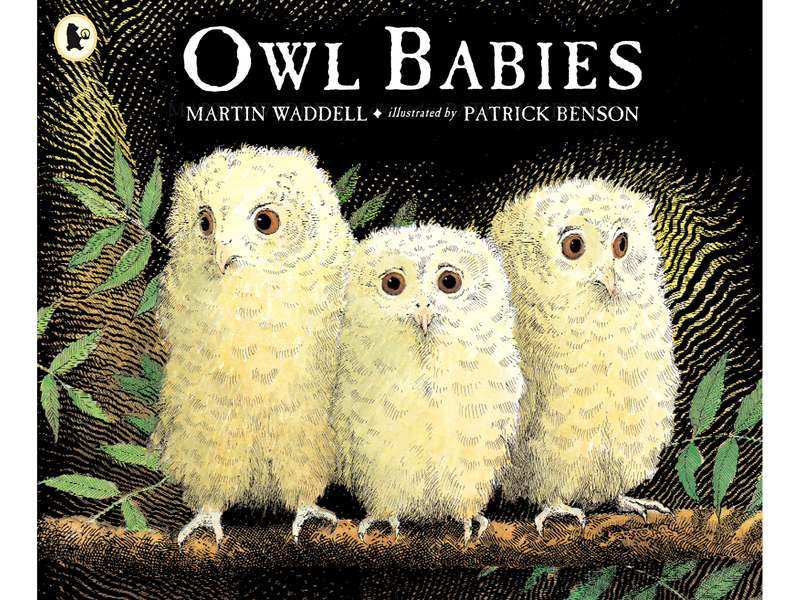 In Martin Waddell’s quiet tale, three baby owls wake up in their nest to find their mother is missing. As it gets dark they grow anxious but when mummy returns there’s celebration all round. 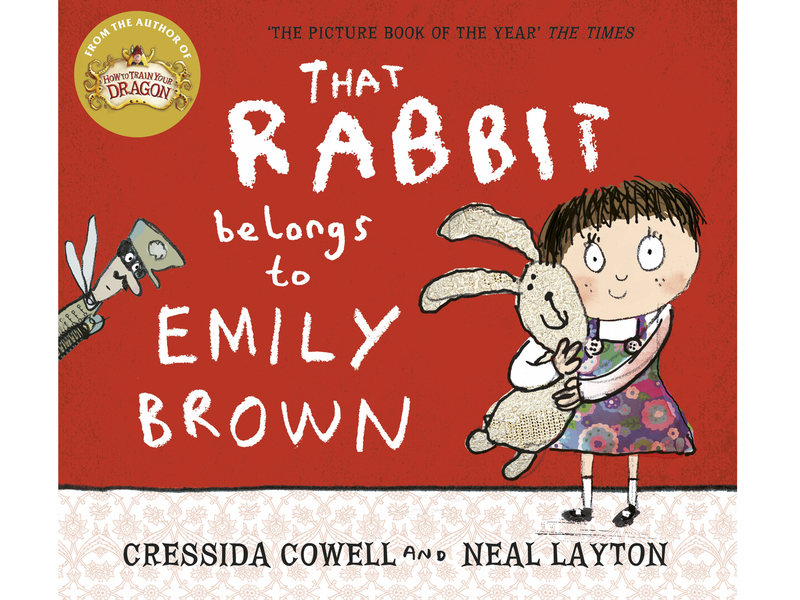 An exploration of love and belonging – useful reading to prepare for first days at nursery. This insightful murder mystery sees our narrator, Christopher, turn detective to find out how a neighbour’s dog died. As the story unfolds we realise Christopher has characteristics of Asperger’s Syndrome. A deservedly acclaimed read. 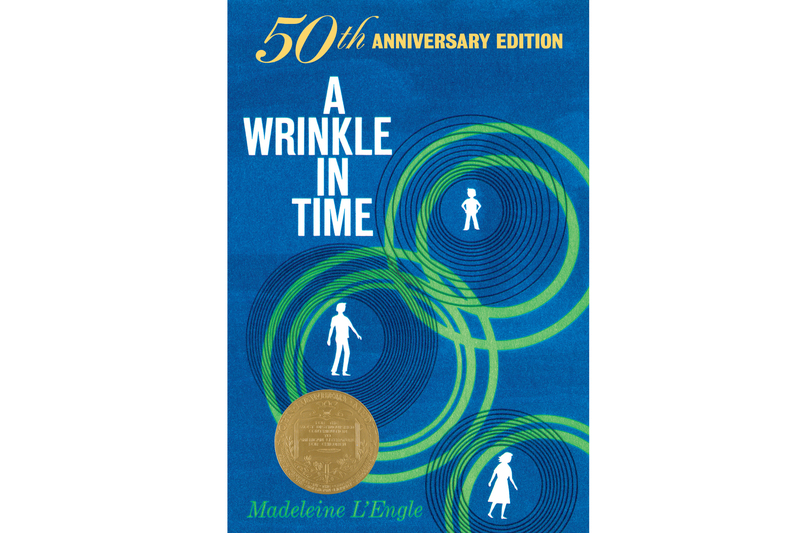 Charles Wallace Murry goes through a 'wrinkle in time' in search of his lost father and ends up on an evil planet where a huge pulsating brain called ‘It’ controls and enslaves the inhabitants. Can he, his sister Meg and his friend Calvin free his dad in this sci-fi caper? 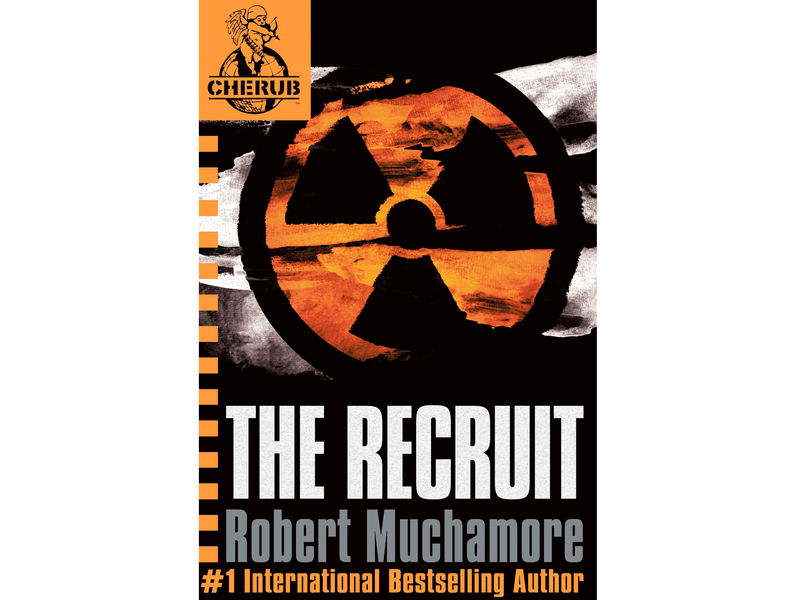 This pacey spy thriller follows the fortunes of undercover agents, all aged between 10 and 17, who work for an organization called Cherub. Muchamore’s taut writing and powerful descriptions make this a haunting and tough contemporary fantasy. 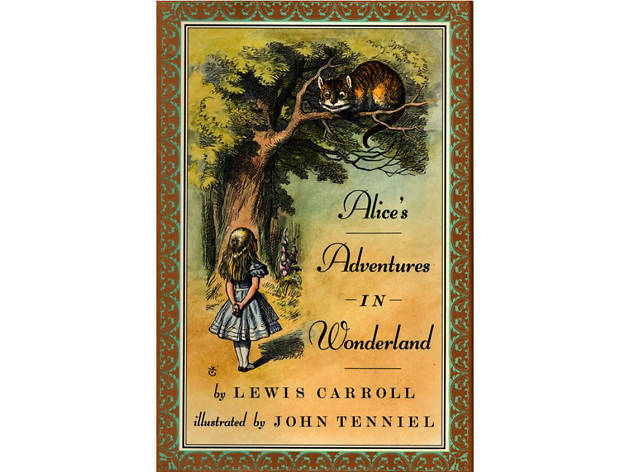 There have been many beautiful versions of Carroll’s classic, but the original drawings by John Tenniel make this edition complete. The fantasy was concocted by Carroll on a riverboat trip as a way of amusing the three young daughters of a friend. The rest is history. 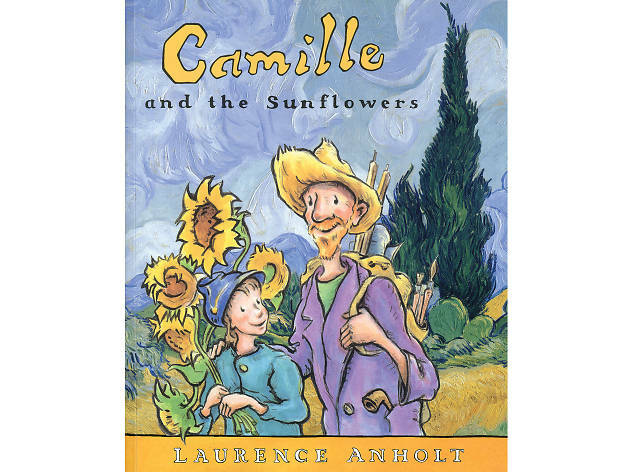 Author and illustrator Laurence Anholt created a series of picturebooks called Anholt’s Artists, all about the lives and works of great painters, portrayed through fictional tales that children can relate to. ‘Camille and the Sunflowers’ celebrates Vincent Van Gogh’s genius with compassion and insight. 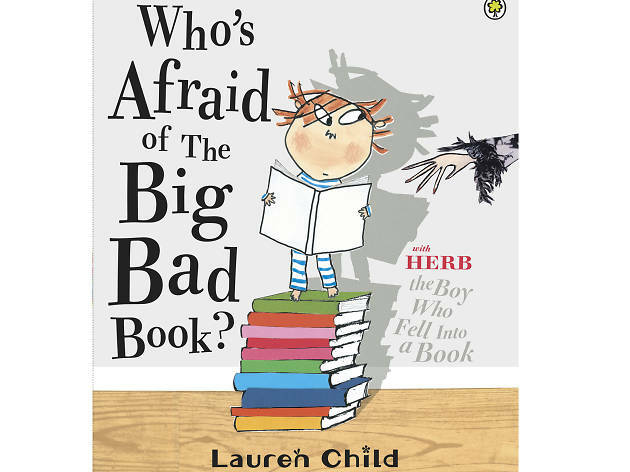 While reading bedtime stories, Herb accidentally falls into a book and finds himself in a perilous adventure where he encounters all the characters from classic fairy tales. 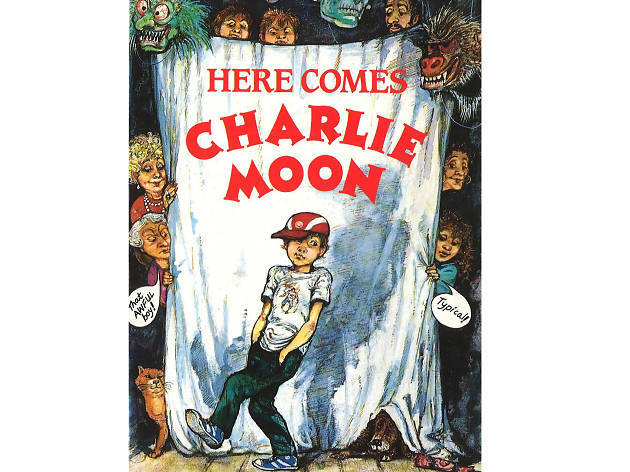 Child’s comedy romp confounds the expectations of young readers to hilarious effect. 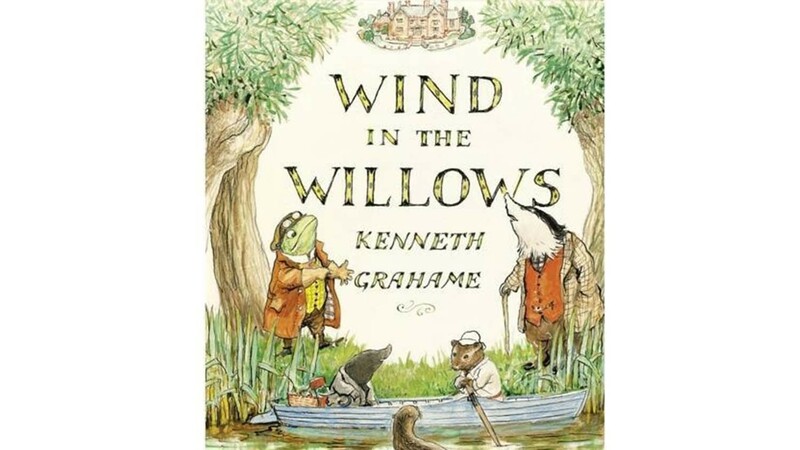 Although you can enjoy the stories of Ratty, Mole, Badger and Toad in cartoons with young children, the novel is a more densely woven and evocative tale celebrating the countryside and companionship, better suited to older readers. President Roosevelt was a huge fan. When the nasty wizard isn’t invited to Princess Eliza’s party he gatecrashes it and decides to turn everyone in the kingdom to stone and to enslave Eliza. 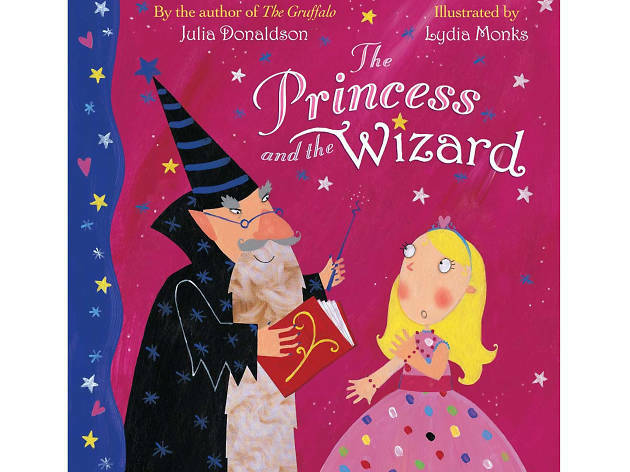 Can her fairy godmother’s magic and Eliza’s smart thinking save her? Find out in a series of rhyming challenges. 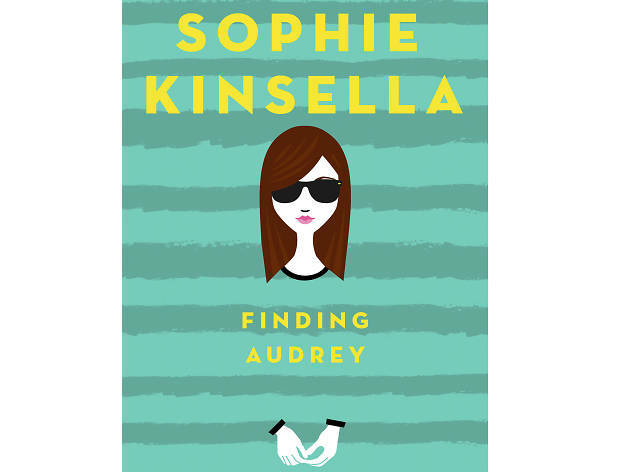 Funny, smart female-role-model stuff. 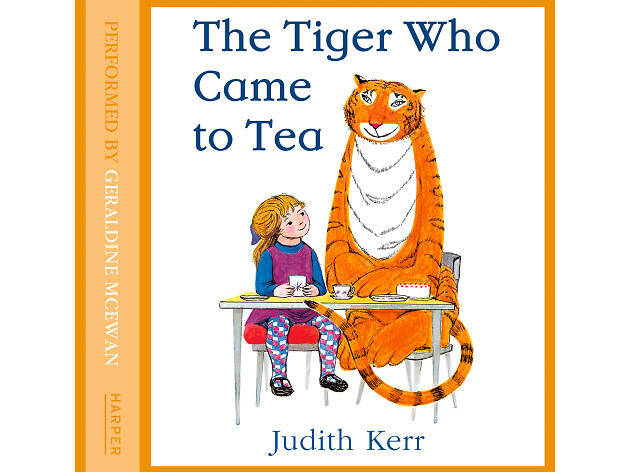 Sophie and Mummy are having tea in the kitchen when a tiger arrives and decides to hang around a while, eating them out of house and home. 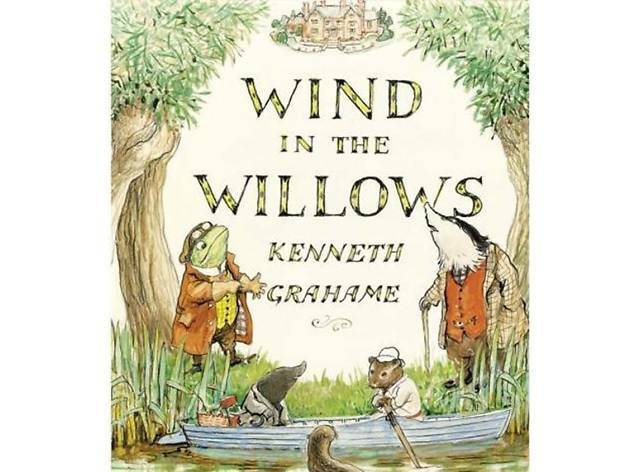 Colourful and silly, this classic has endured thanks to Kerr’s crafted words and every child’s love of stories that start curious and build into something fantastically silly. 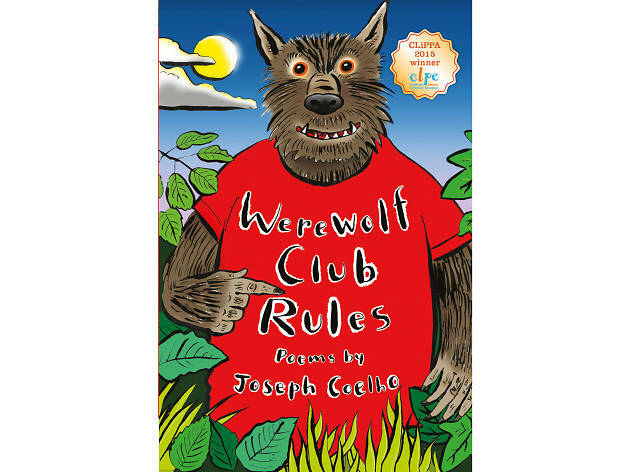 This collection of Joseph Coelho’s poetry is funny and punchy – a great way to share stories using the economy of rhyme. Family, school, everyday events and language itself are explored in these magical verses. 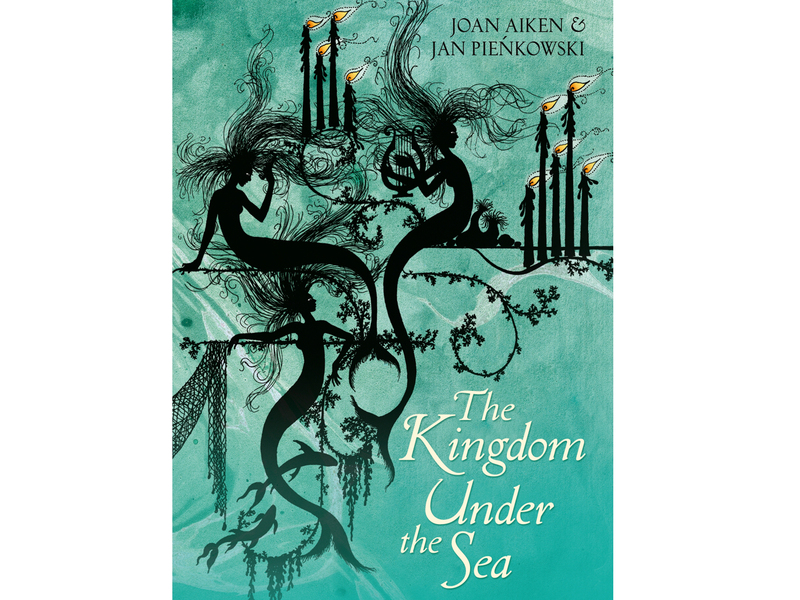 Originally published in 1971, Aiken’s retelling of European folk tales explores themes of cruelty, peril, good and evil. Illustrated with silhouette pictures by Jan Pienkowski, it’s an evocative and sometimes scary trip into the land of legends. The skulls around Baba Jaga’s house are particularly effective. 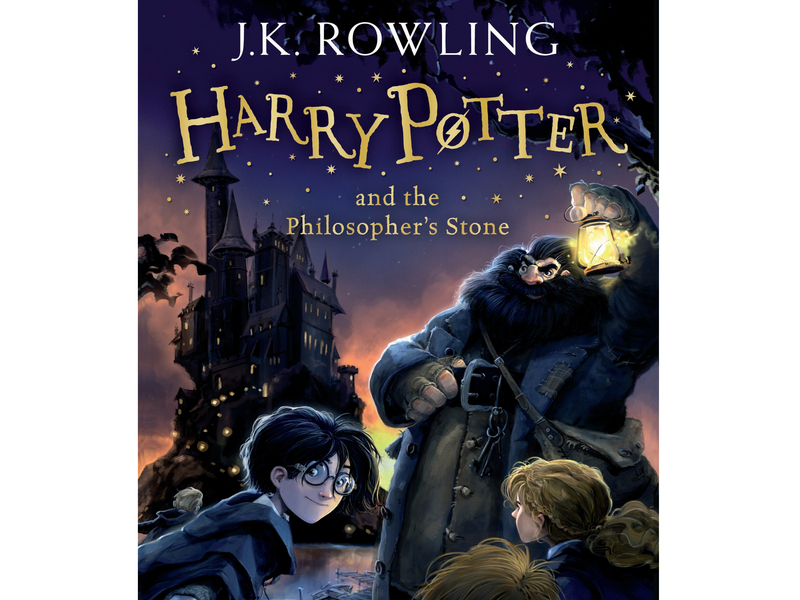 At nine or ten children can fully savour Rowling’s brilliant epic. An enduring drama that never loses its pace thanks to Rowling’s humour and the detail poured into each character – a cast of wizards, witches, enchanted plants and power-mad evil forces. 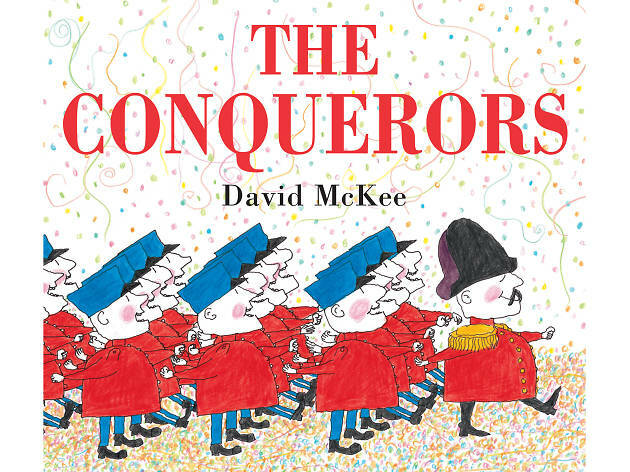 This bright and breezy picturebook stands squarely with the dreamers. 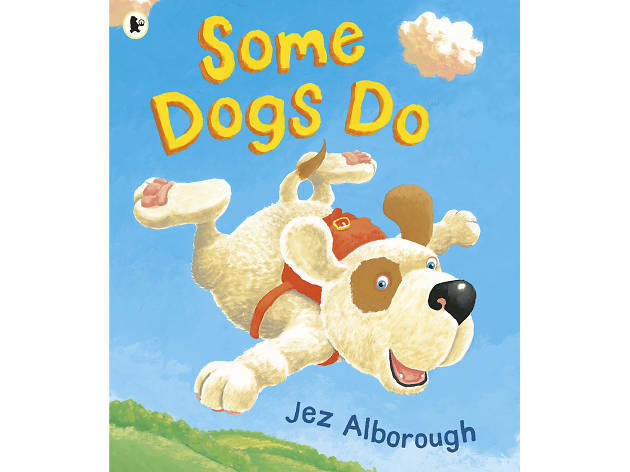 Sid the dog is so happy one day that he finds himself flying to school, but his friends don’t believe him. When his dad sees him sad and upset, he lets Sid into a little secret – some dogs really do fly! Trevor’s dog, Streaker, is speedy, adoring yet uncontrollable, and the pressure is on to get him trained before Trevor gets in trouble. Mishaps abound as the book reveals Strong as a master of quirky stories for young readers. Also recommended, the ‘My Brother’s Famous Bottom’ series. As silly as it sounds. 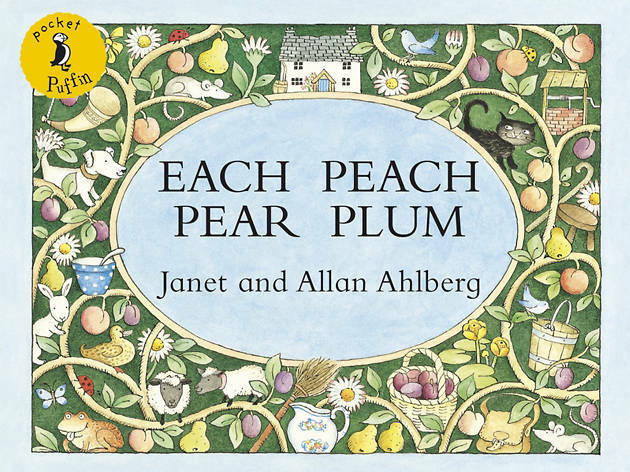 Allan Ahlberg and his wife met at teacher training college and created many quietly funny storybooks together before her death in 1994. 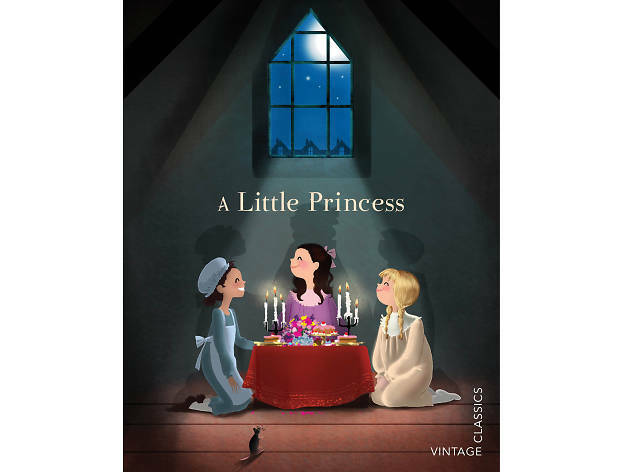 The classics continue to enchant, including this detailed little book throughout which young readers are encouraged to find fairy tale and nursery characters on each page. 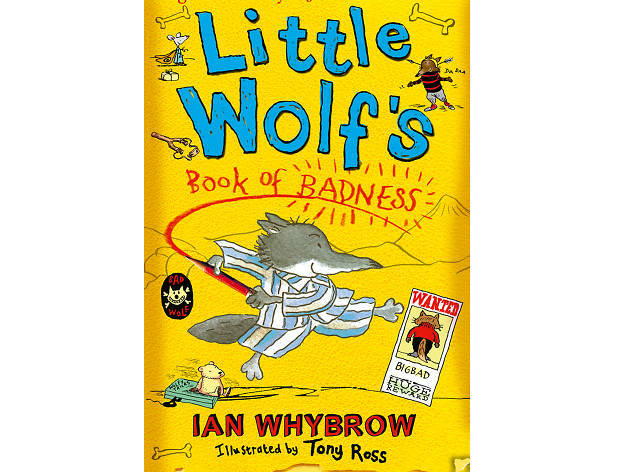 Along with the ‘Harry and the Dinosaurs’ series, Ian Whybrow’s classics include the Little Wolf books. In this first story, Little Wolf must attend his wicked Uncle Bigbad’s Cunning College to learn the nine rules of being a big bad wolf. In his letters home he tells his family all about his adventures. Great fun. 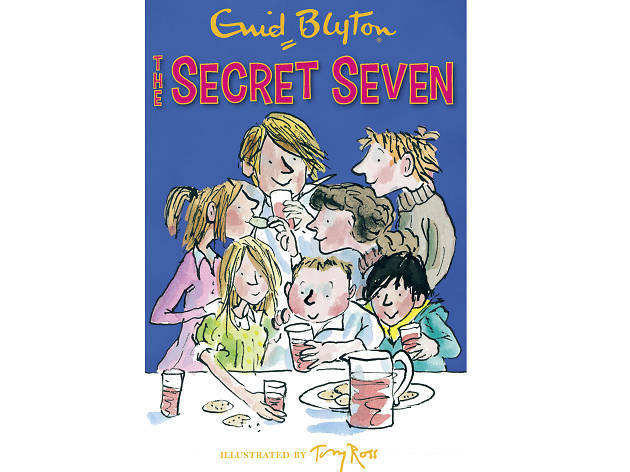 Secret Seven, Famous Five – gang culture was something very different in the 1940s. This was the first full-length novel in a series about a brother and sister and their crime-busting friends. 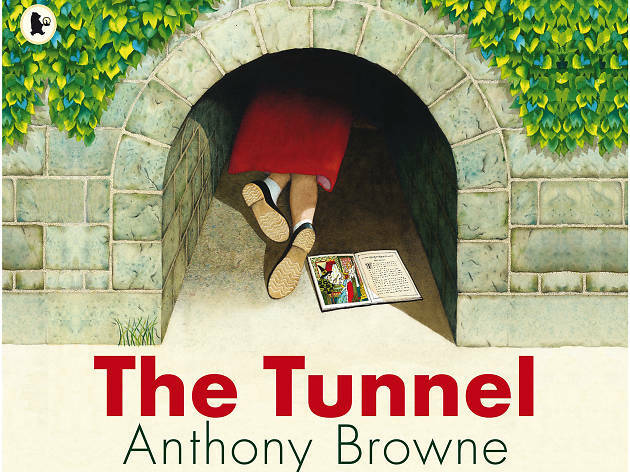 The children leap into action after spotting ne’erdowells acting suspiciously. 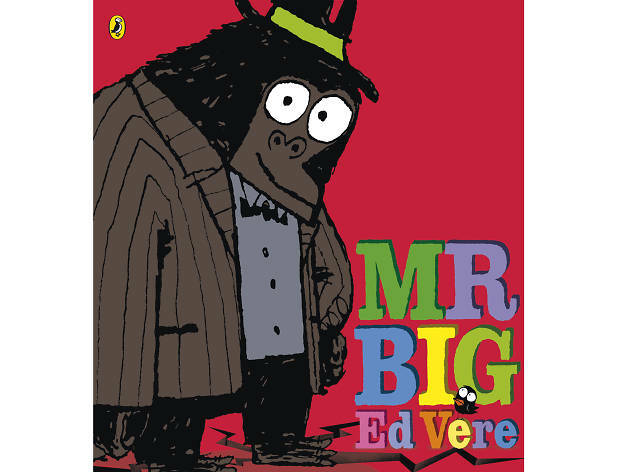 Ed Vere’s vibrant picturebook explores themes of acceptance and tolerance. Mr Big is strong and tough, but also a bit of a softy. However, everyone is too scared to come near him to discover this, so how can he show them his nice side? 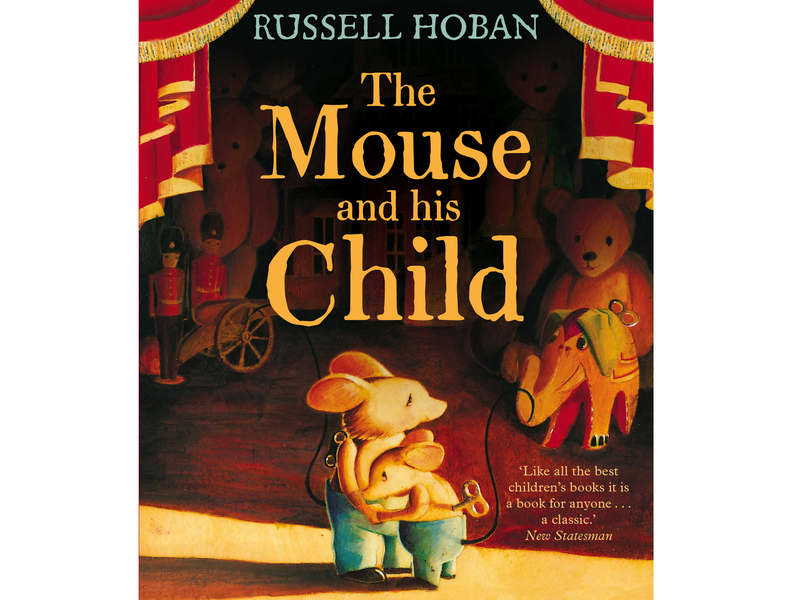 This moving children’s novel is a gentle way to introduce themes of loss and mortality. Fern has a pet pig named Wilbur and as he grows fatter, he eventually faces the destiny of all the pigs on the farm. 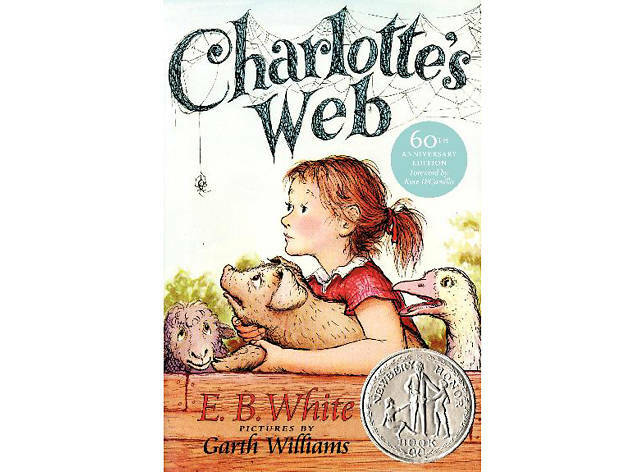 However, with the help of a talking spider called Charlotte, Wilbur might be saved. This modern jewel follows an ordinary chap who finds his house demolished and the Earth destroyed in order to make way for a hyperspace bypass. 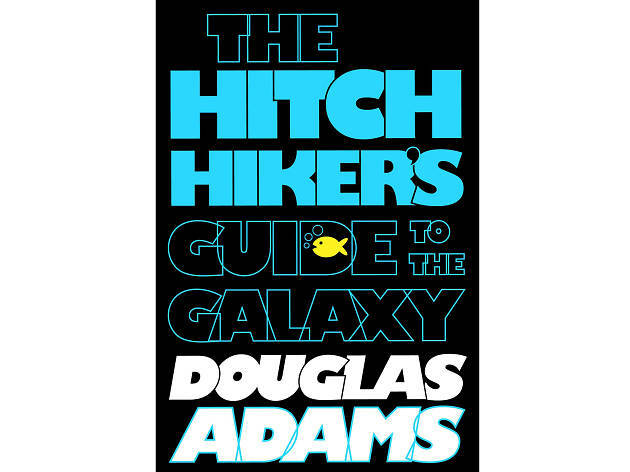 The original radio comedy format ensures a tight, pacy read as Dent is bounced around the universe. 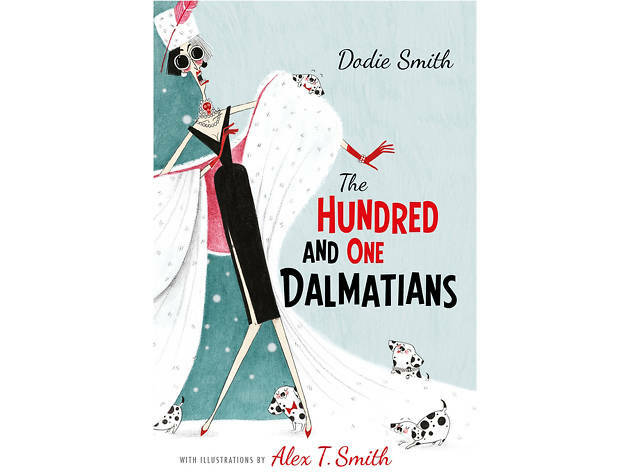 While the general plotline – spotty dogs in peril of being turned into furry fashion – is the same, Smith’s original is more insightful and gently paced than Disney’s interpretations. 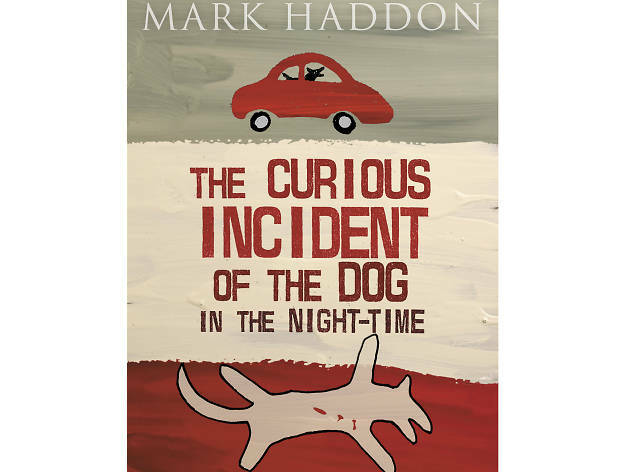 The relationship between the parent dogs and their puppies is lovingly explored and the search unfolds as a thrilling adventure. 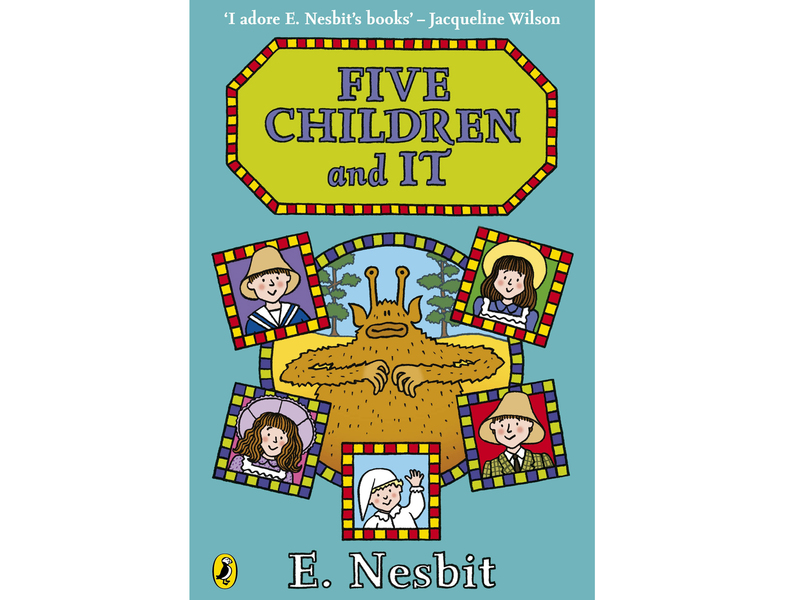 The author of the Mr Benn series has a talent for playful picturebooks that concisely express something of the quirks and contradictions of the human condition. Here, a powerful General is furious when his invading troops meet no resistance in the last unconquered territory and instead befriend its people. 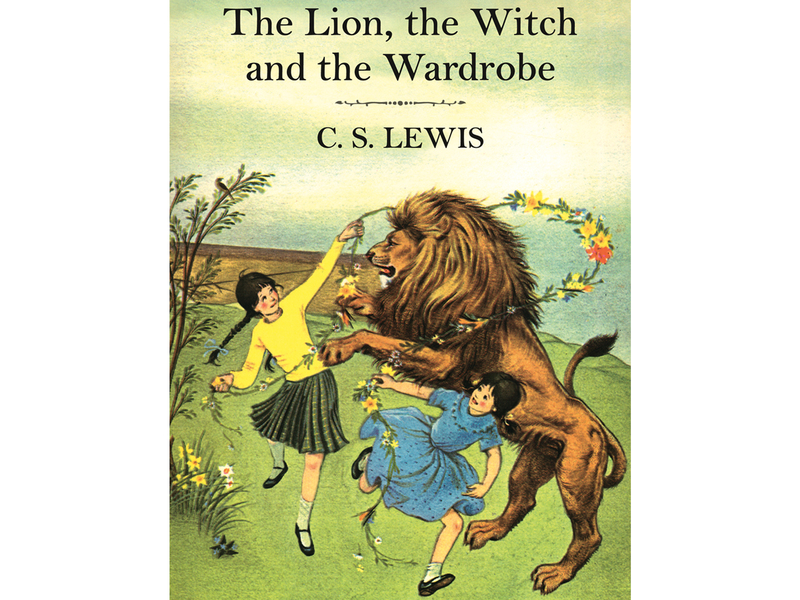 Three children who live in an orphanage under the uncaring custody of social workers and therapists decide to run away. 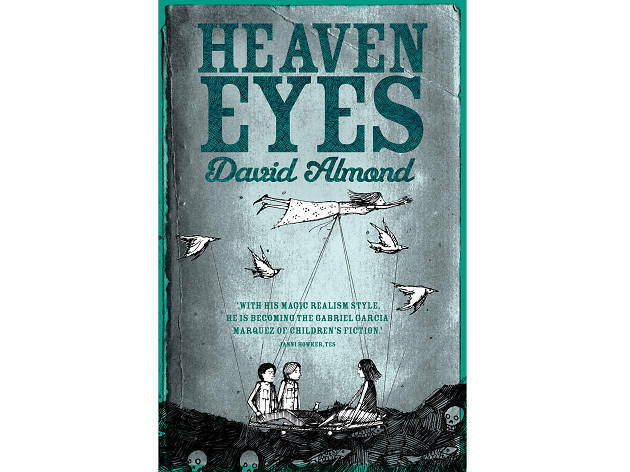 Their escape is perilous, but when they meet a girl named Heaven Eyes, there seems to be some small hope in their otherwise bleak world. Almond at his thought-provoking best. 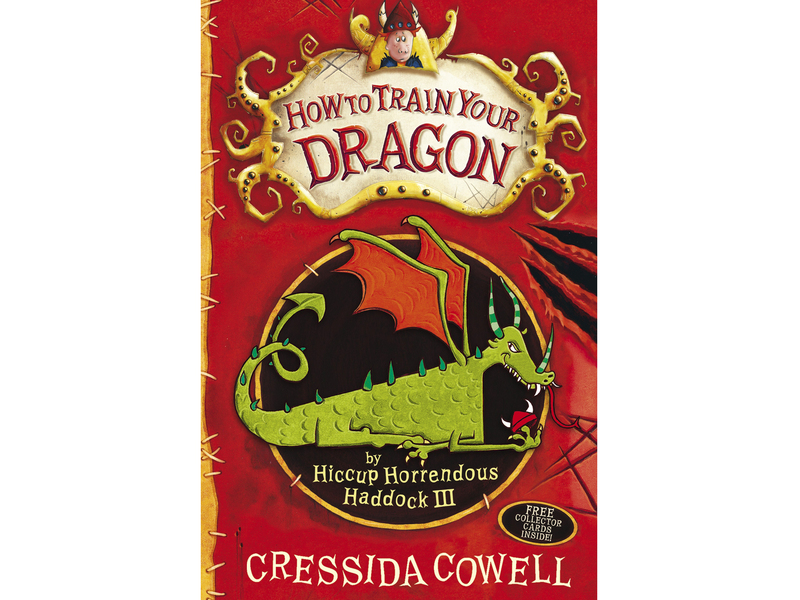 In a community dominated by power and battles, a misfit Viking teenager rescues and befriends an injured dragon. Can the two outsiders unite to be accepted and live happily? Descriptive and flowing, Cowell’s Dragon novels have become deserved hits at the cinema, too. 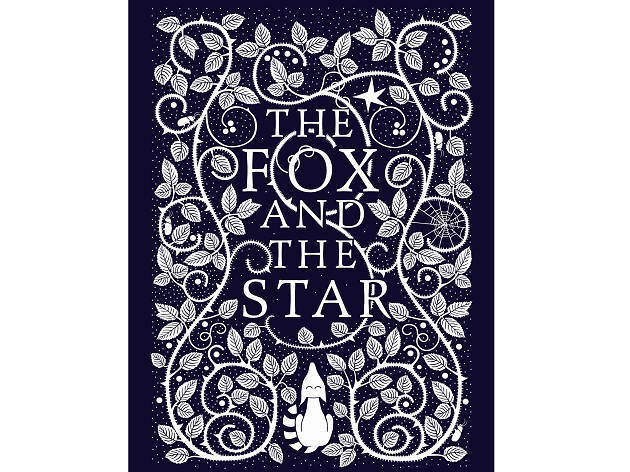 Inspired by William Morris and William Blake, this acclaimed work is an eloquent and imaginative story about Fox and his friend Star, who each night guides Fox’s path through the woods. 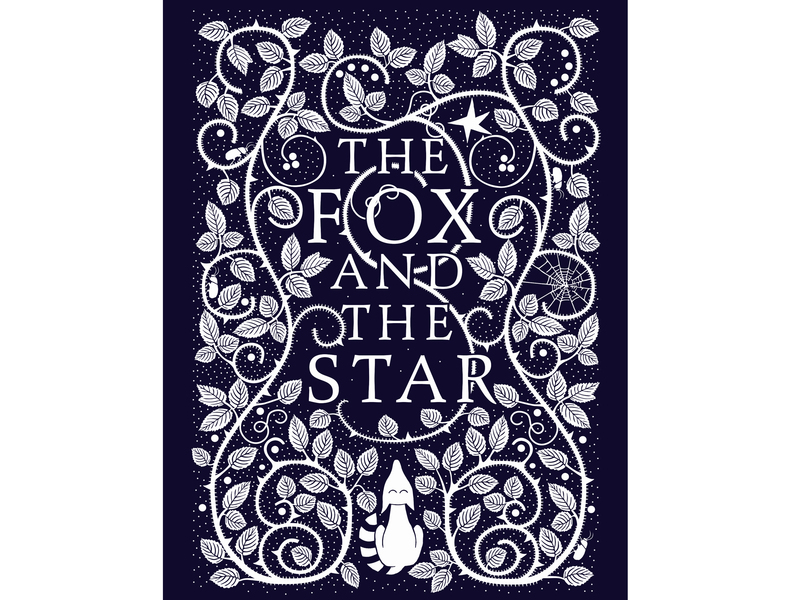 But one night, Star is not there and Fox must venture into the world alone and make new friends. Two frogs sit on a pond, one of them has a stick which he intends to use to protect himself from a dog we haven’t seen yet. 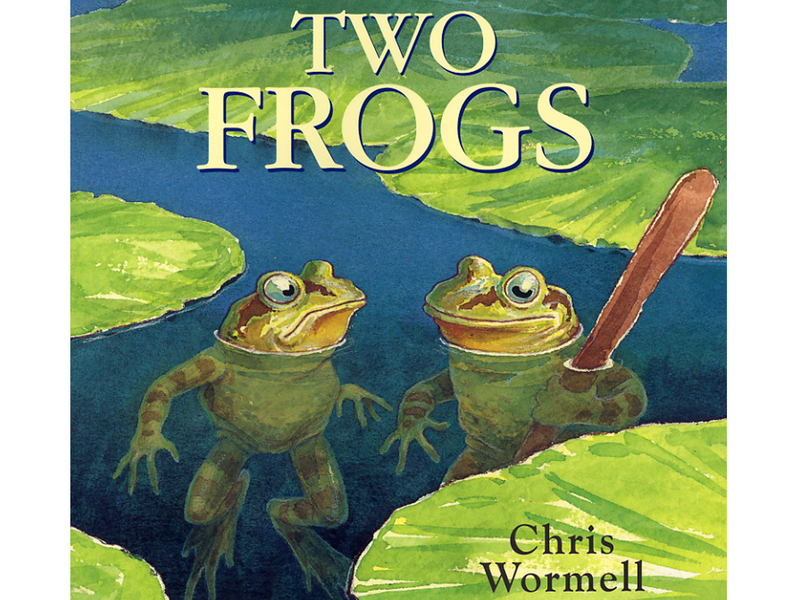 A funny picturebook fable about two hapless amphibians. Also recommended, Wormell’s ‘Mice, Morals and Monkey Business’ – illustrated with stunning lino block print pictures. Actor and television writer Higson has excelled as a children’s author in recent years, with his ‘Young Bond’ series and the post-apocalyptic teen novels in this series. Vivid, pacy and populated by infected adults who have turned into zombies, its a thrilling read for kids who don’t scare easily. Not all picturebooks are for toddlers. 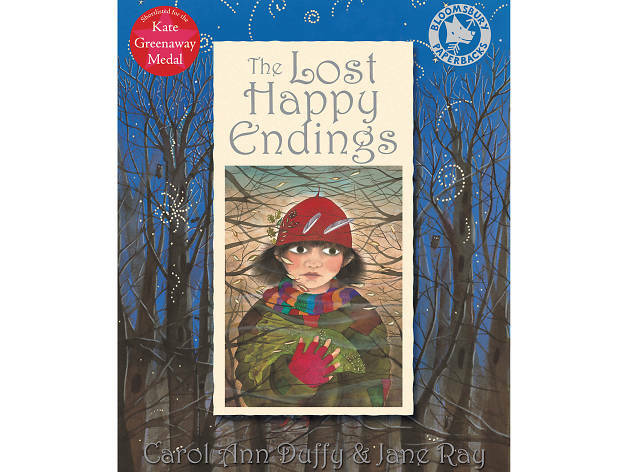 Scottish poet and playwright Carol Ann Duffy created this darkly beautiful story for older children. A witch steals all the happy endings to bedtime stories and one brave girl must save them. Jane Ray’s exquisite illustrations make this a fabulous flight of the imagination. Potter’s 100-year-old stories are far from outdated. Peter sneaks into Mr McGregor’s garden and gets intro a lot of trouble before making his escape back to the safety of home. 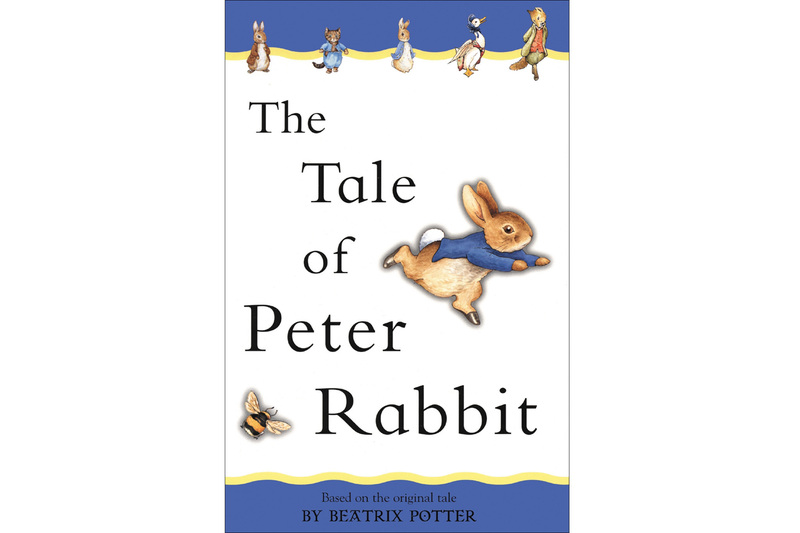 Potter’s conversational tone flows naturally making this ideal reading for a calm bedtime. Magical reading for any child with a restless spirit and a creative imagination. 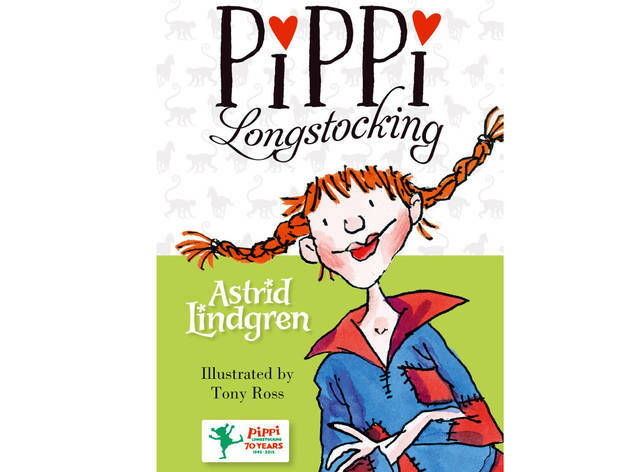 Nine-year-old Pippi lives all by herself with a horse, a monkey and a suitcase of gold coins. Freedom! As a result, she confounds the village grown-ups and spends her days on wild and wacky adventures. 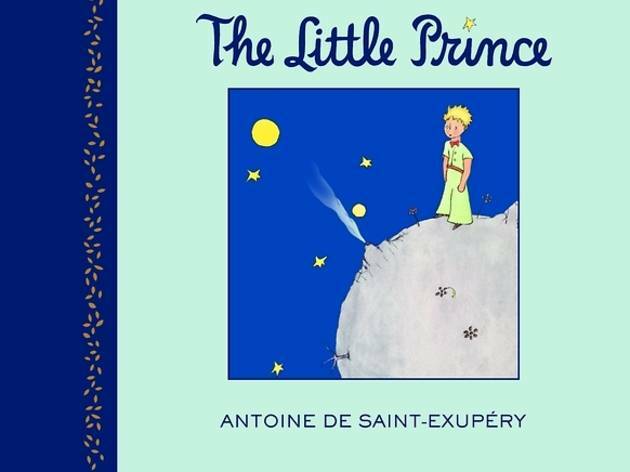 When a pilot is forced to land his plane in the desert, he meets a mysterious little boy who tells him a series of fascinating and wise stories. 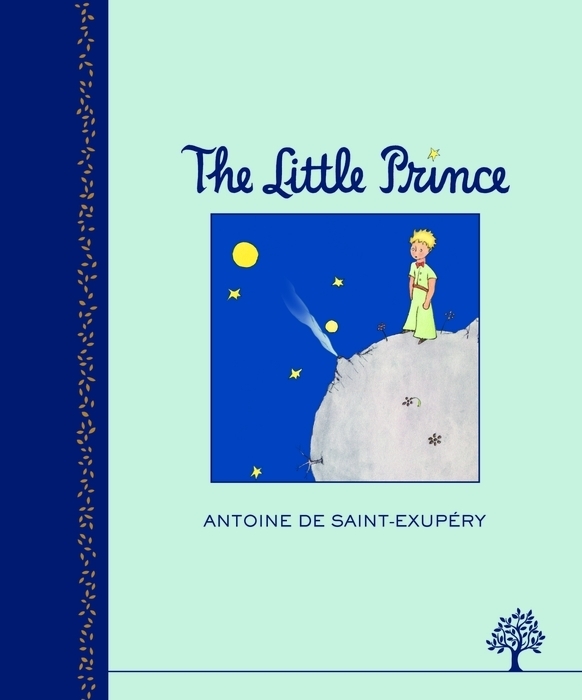 This simple fable of imagination and compassion has been a treasure handed from parent to child for generations ever since it was first published 70 years ago. Many authors address themes like the stresses of peer pressure and the threat of violence through fantasy writing. McGowan tackles these head-on in an account of a boy who unwillingly becomes ensnared in a local gang war. Intelligent and honest without being sensational, this is a serious work of bold fiction. Frances Lincoln publishes a wide range of children’s fiction and non-fiction, but cultural diversity is a special interest in many of their books. 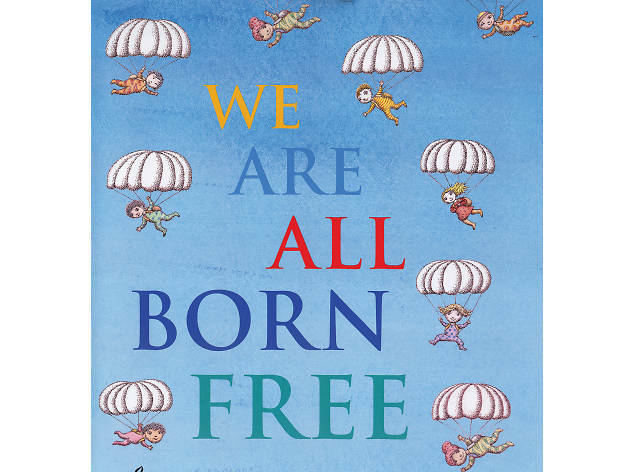 This is a beautiful picturebook celebration of The Universal Declaration of Human Rights in which each declaration is illustrated by a different artist or illustrator. Ahlberg is a master of playful, smart stories for picturebook and storybook readers and this adventure is one of his more recent gems. 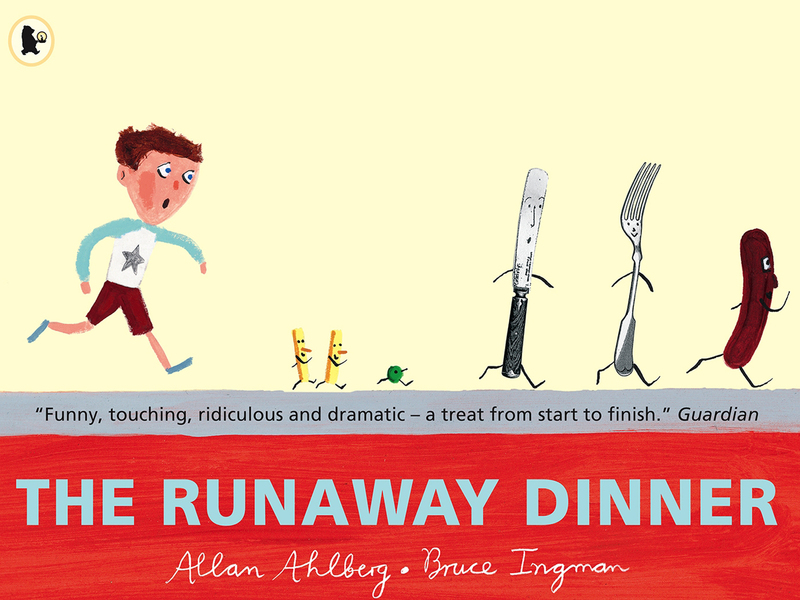 When a boy’s teatime sausage makes an escape from his plate, followed by the veg, the cutlery and even the table, a comical chase ensues, with a brilliant punchline. This is the second in a series of fantasy thrillers published between 1965 and 1977. The adventures draw on Arthurian legends, and Celtic and Norse mythologies. In this story, 11 year-old Will Stanton discovers he has powers to help The Light’s struggle against The Dark. A breathless yarn. 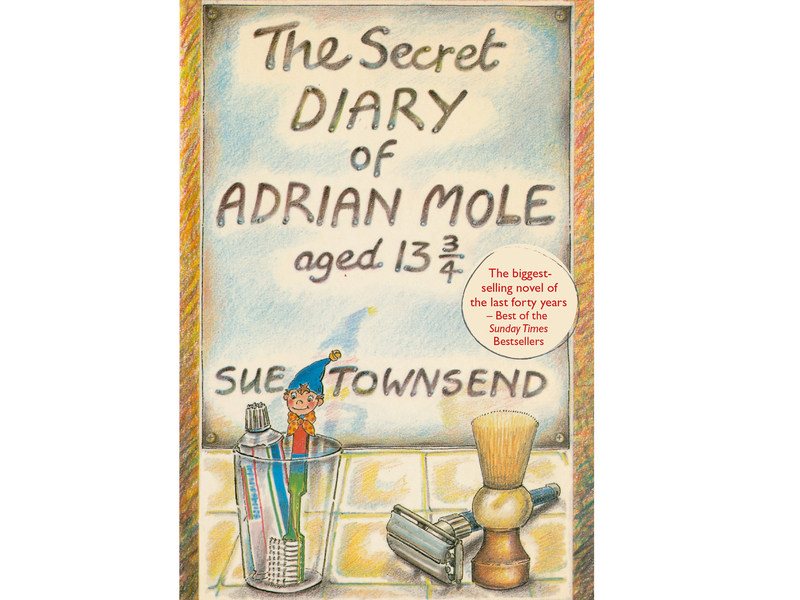 Townsend’s brilliant account of the pimply life of one hapless teenager continues to entertain readers today. Through Mole’s cynical and tormented eyes we see his world – a miserable homelife, teen longing and a firm belief that modern life really is rubbish. Hughes’ works possess a timeless charm, full of reassuring reflections on the everyday excitements of young family life. Dave is heartbroken when he loses Dogger, but when the beloved cuddly toy turns up for sale at the school fair it looks like a happy ending – until someone else buys him! 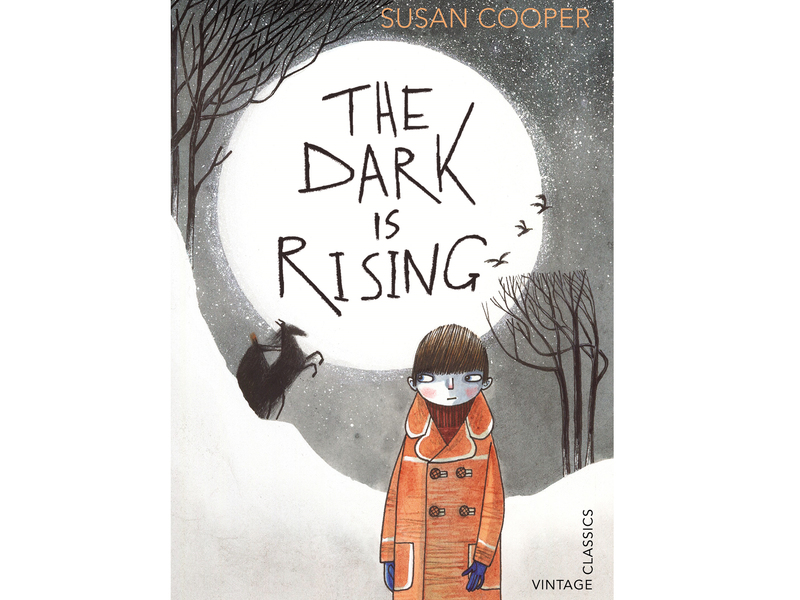 This heart-warming account breaks conventional storybook format, mixing poems with narrative to tell the story of Jack, a schoolboy who’s nursing a sadness that he can’t find the words to share. However, during lessons at school, he realises that poetry could be the perfect channel for his feelings. The rich and colourful illustrations in this book add to its nostalgic feel. A little tin mouse and his son are accidentally broken and thrown away. Found and repaired by a tramp, they go on a journey to return to the doll’s house and animals they remember in the toy shop they originally came from. Pirates, treachery and heroism – a perfect storm of adventure for budding novel readers, once they get accustomed to Stevenson’s nineteenth-century expressions. 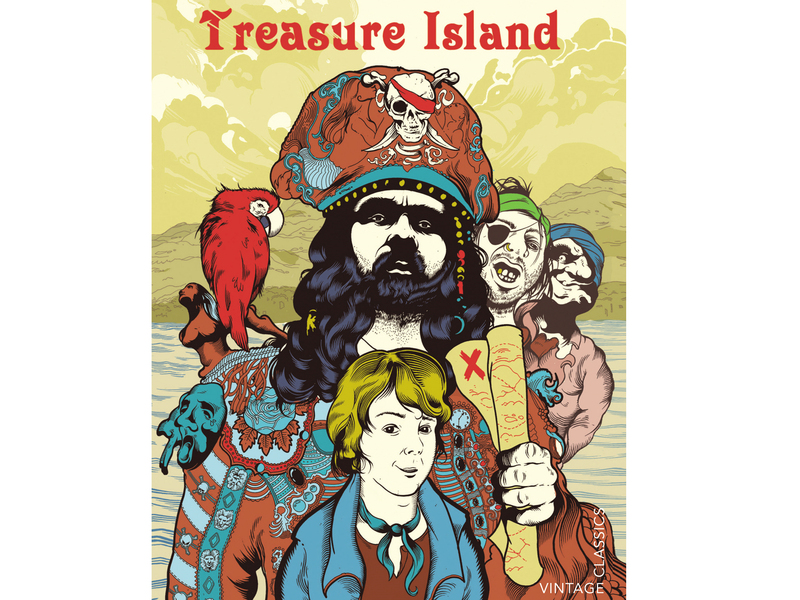 Jim Hawkins finds a map and sets off on the Hispaniola on a dangerous quest with his friends. However, they're not alone in the search for the booty. 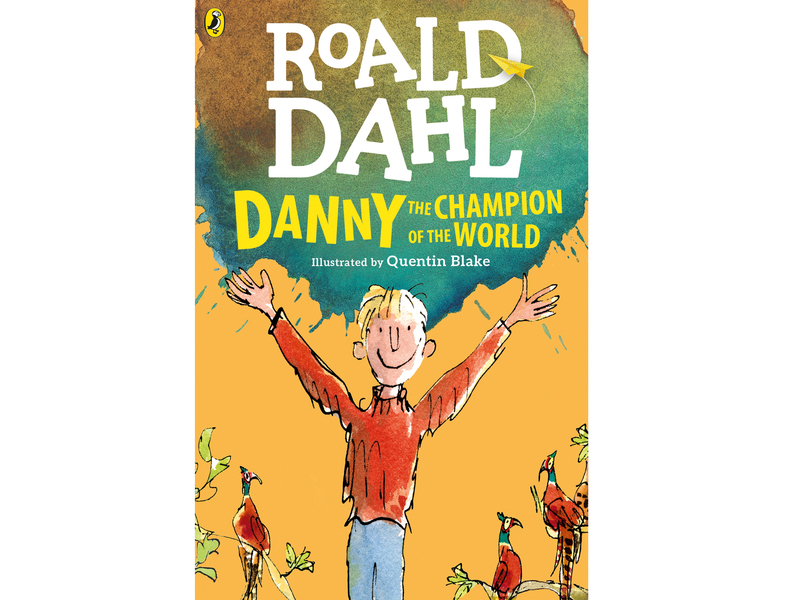 Danny lives in a caravan with his father William, who mends cars and has a nifty sideline in poaching pheasants. 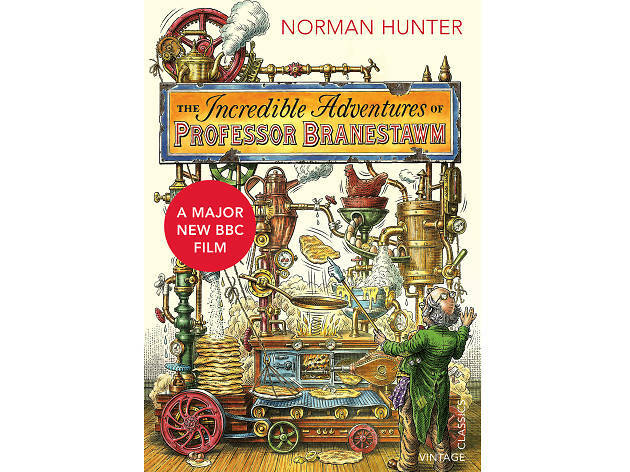 One night William is caught in a trap, and thereafter they begin to hatch a brilliant plan to get revenge on the greedy landowner Mr Hazell. 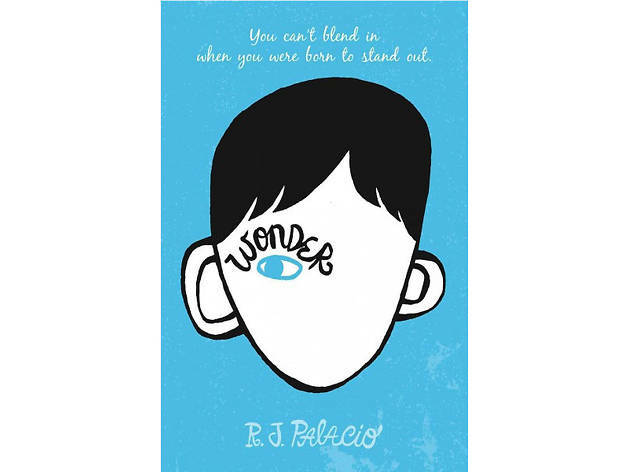 This complex page-turner centres around Auggie, starting school after being home educated all his life. To add to this challenge, Auggie has a severe facial disfigurement that inevitably leads to cruel treatment from many and overprotectiveness from others. A vivid and surprisingly life-affirming read. This award-winning, uncompromising novel is a valuable read for older children struggling to understand life’s unavoidable trials. 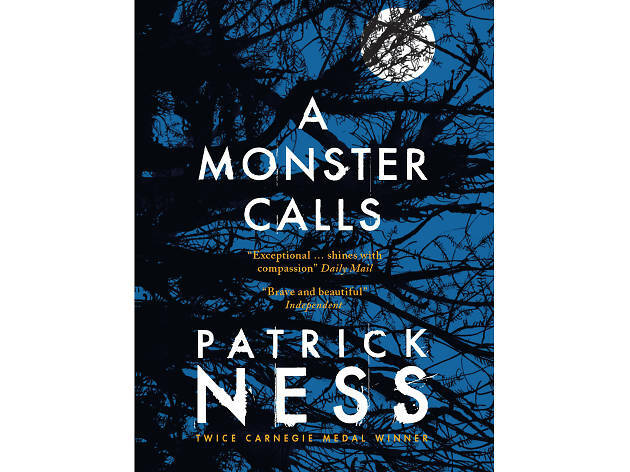 Connor’s mum has cancer and life has become almost unbearable – school is miserable, his relationship with his gran is edgy, and at night a monster invades his thoughts. A family goes searching for a bear in this poetic little adventure. 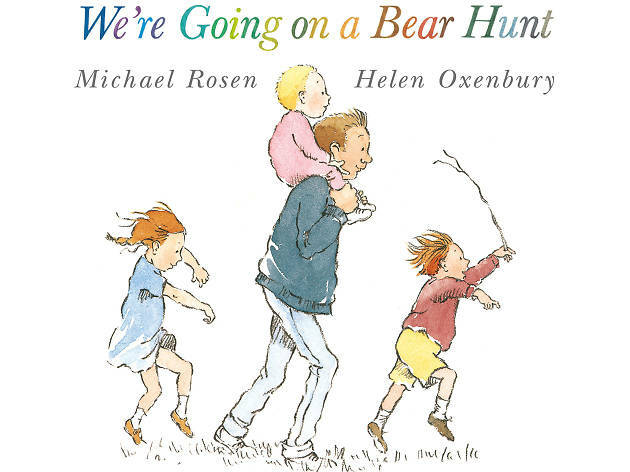 Share the book, enjoying Oxenbury’s playful drawings, then act it out – wading through grass, splashing in a river, squelching over mud and struggling through a snowstorm – before reversing the journey at speed in retreat from the bear you’ve found! 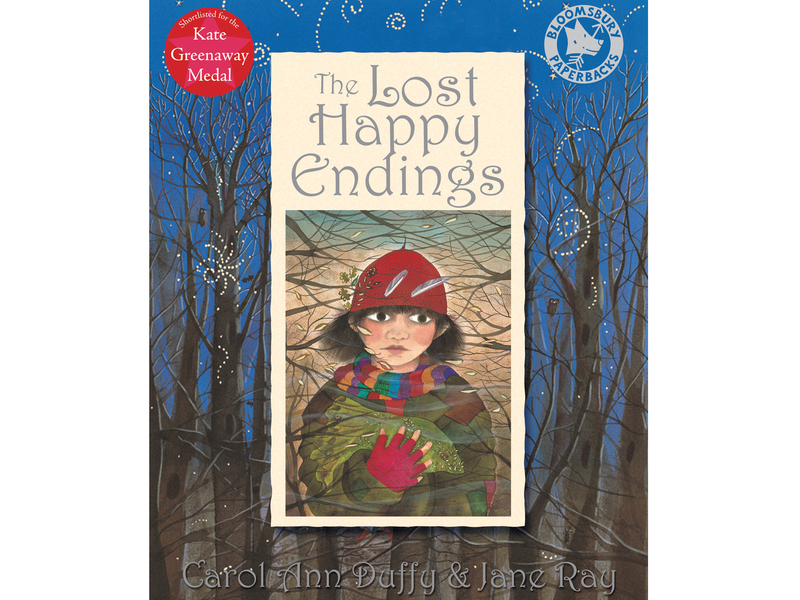 A great storybook for children suffering sticky times with their friends. 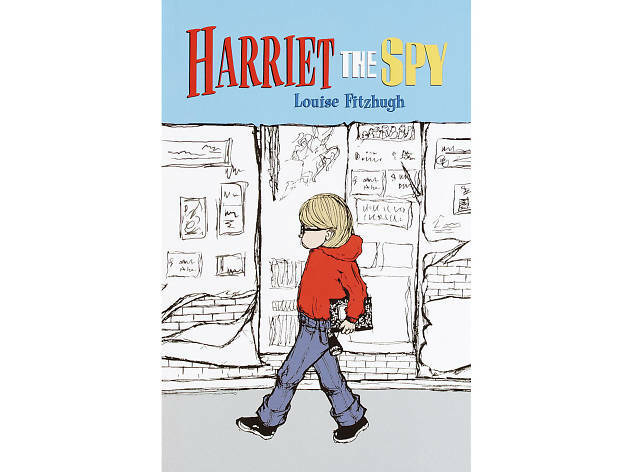 Harriet aspires to be a writer and has a habit of putting down her brutally honest opinions in a notebook. When her classmates discover this, she is ostracised as a spy. Fitzhugh’s vivid writing makes this 1964 tale wholly enjoyable. 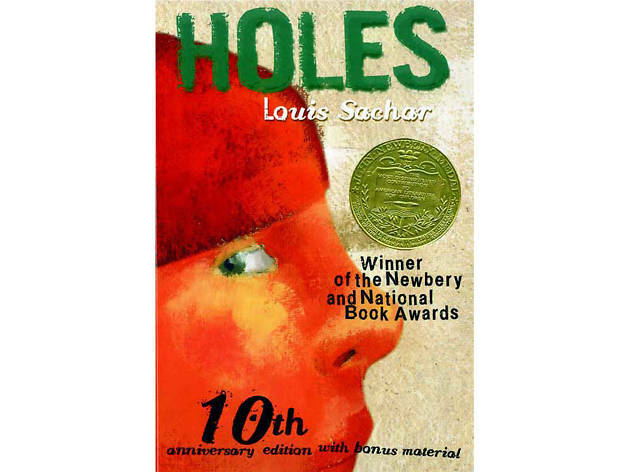 Sachar’s powerful, clever novel follows Stanley Yelnats who, through a miscarriage of justice, is sent to Camp Green Lake Juvenile Detention Centre. His daily ‘punishment’ consists of digging holes. Soon, however, Stanley discovers there’s more to this seemingly dull task than first appears. Linus wakes up in a dark underground cell, unsure how he got there. At first he thinks he might have been kidnapped for money, but as other prisoners arrive, it seems mental and physical torture is all their captor wants. Can they survive? Will they escape? A challenging, vivid and uncompromising book. 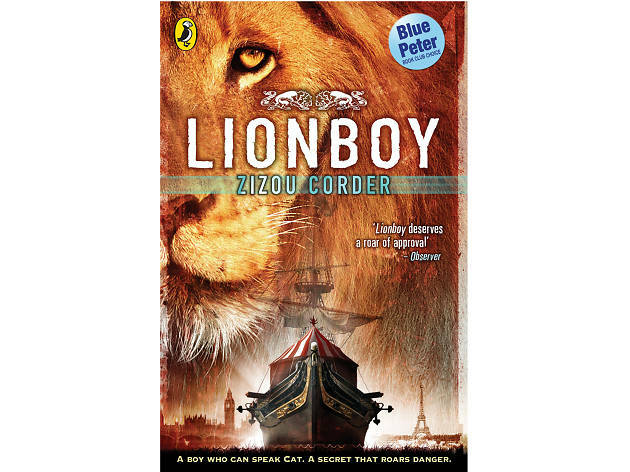 Schoolboy Kay Harker finds himself caught up in a battle to possess a magical box that can travel through time. For Kay, it is the start of a dangerous journey to stop magician Abner Brown seizing the box for his evil purposes. 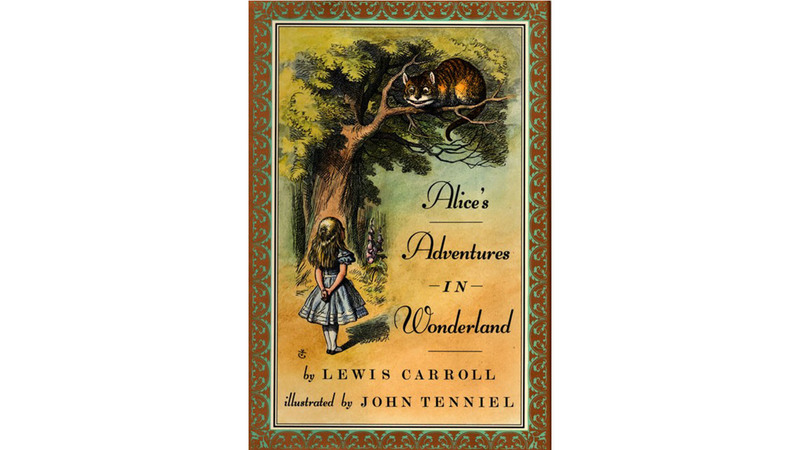 First published in 1935, the adventure has lost none of its thrilling pace. The Tintin vote was split across several stories and if you like this, you’ll love the others. 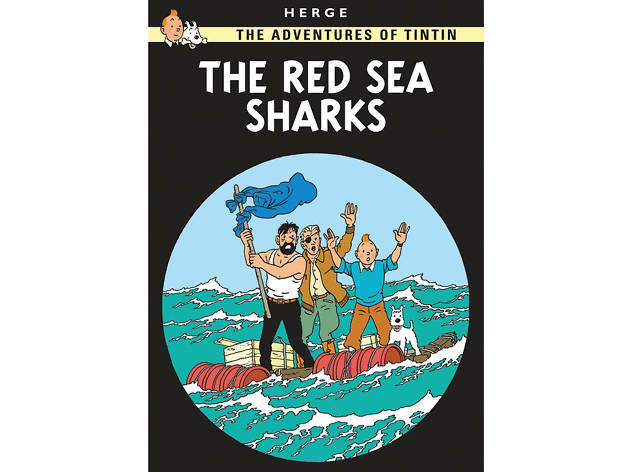 Still, this is a good place to start: a tale of daring, espionage and bravery as the young reporter, Snowy the dog and Captain Haddock set off to foil a Middle Eastern military plot and bust a slavery ring. When wealthy Sara Crewe is made penniless by her father’s death, she must work as a maid at the boarding school she’s been attending. Through twists and turns her fortune is eventually restored, but her headmistress does all she can to foil Sara’s dreams. An industrial age fairytale. A baby caterpillar eats his way through lots of different foods and gives himself a tummy ache. Then he spins a cocoon and rests, eventually emerging as a stunning butterfly. Brilliant for first counting and learning days of the week, this 30-million-selling classic started life as a doodle when Carle was playing with his hole-punch. 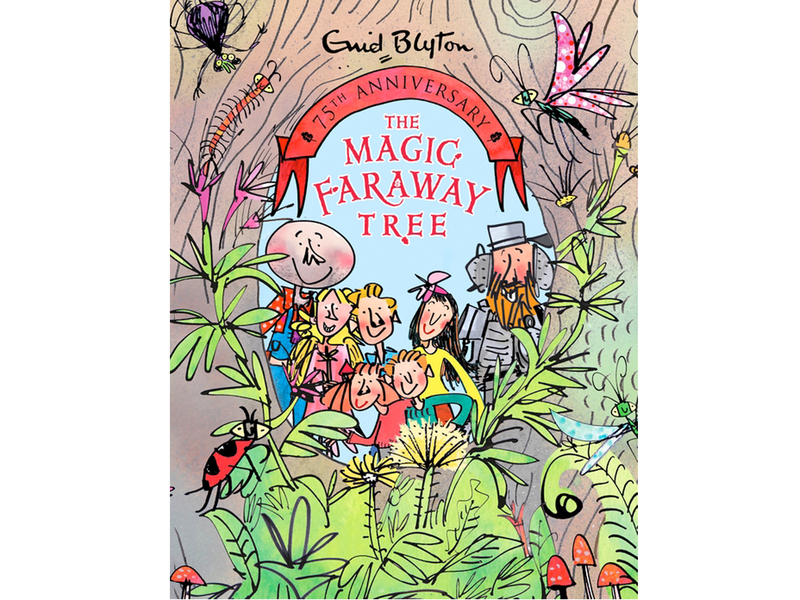 When Joe, Beth and Frannie move to a new home near the Enchanted Wood, they discover a magical tree and meet strange new friends, Moonface, Saucepan Man and Silky the fairy. When they climb to the top of the tree they are transported to other lands and find themselves on fabulous adventures. From the author who wrote ‘The Railway Children’, this is another story about a family who move from London to the countryside. While playing, the children unearth a grumpy sand fairy, who grants them a series of daily wishes, each lasting until sunset. The resulting escapades and mishaps shape this amusing read. Four children evacuated during The Blitz discover a magical land called Narnia, entered through an old wardrobe. They become entangled in a conflict between good and evil and must overcome their fears to save this enchanted world. Despite its specifically Christian undertones, it’s a universally loved classic. Emily loves her cuddly rabbit, Stanley. However, when the Queen decides she wants Stanley, she sends increasingly generous offers to swap him for shiny new toys. Emily, however, flatly refuses. When the Queen finally steals him, what will Emily do to get him back? 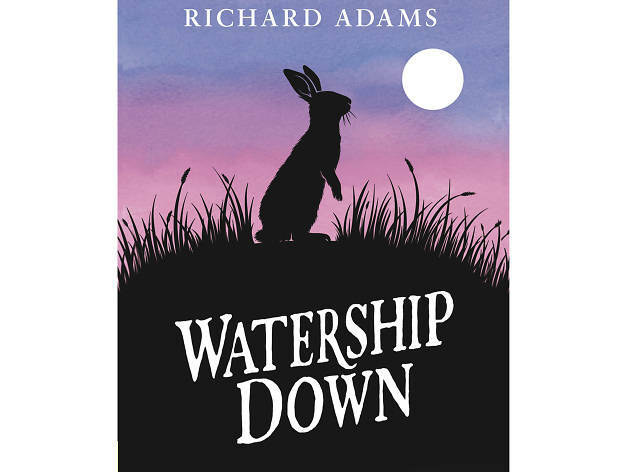 Barney is a lonely boy who’s used to playing on his own, but one day he stumbles upon a mysterious cave in an old chalk pit and meets a strange boy clad only in rabbit skin. Although his new friend Stig only speaks by grunting, the pair enjoy lively adventures together. 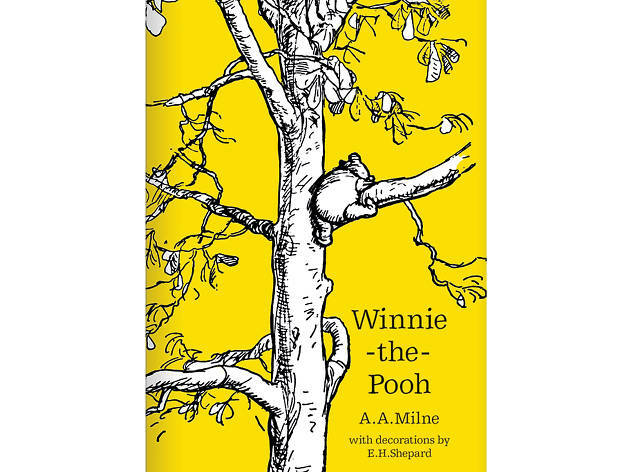 The simplicity of life in and around Hundred Acre Wood is evocatively expressed in Milne’s poetic style, as if these were a child’s toys acting out imaginary adventures in the nursery. The silly scrapes that Pooh, Eeyore, Piglet and friends get into continue to charm thanks to the dry humour in the telling. A reckless young wizard attempts a spell beyond his ability and accidentally unleashes an evil shadow-beast. 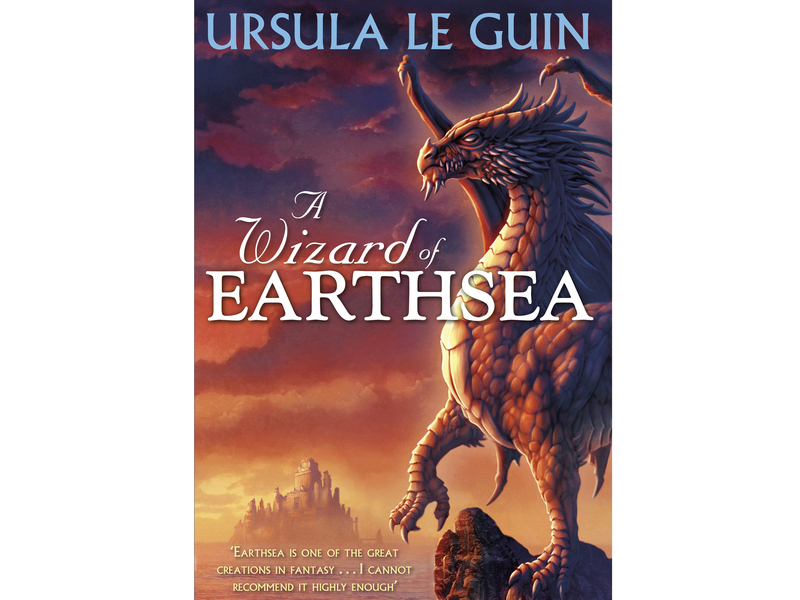 Only he can destroy it and in this, the first of a series of ‘Earthsea Cycle’ novels, he goes on a quest to find it. 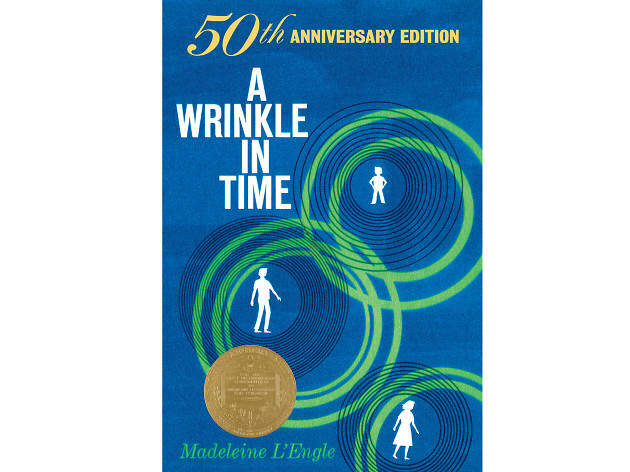 First published in 1968, it’s been a celebrated influence on fantasy fiction ever since. 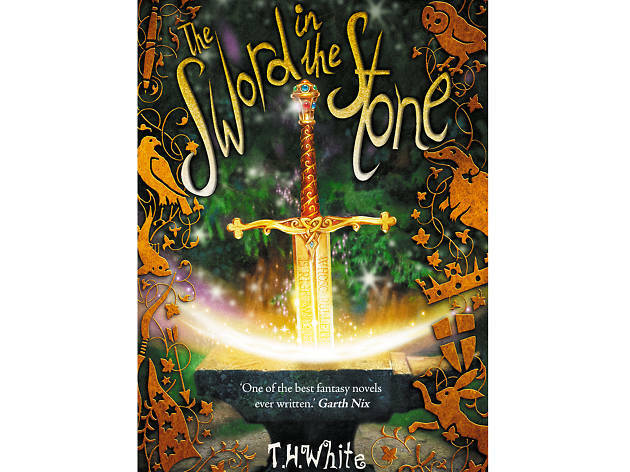 TH White’s fantasy imagines the boyhood of King Arthur. The prince is tutored by Merlyn to prepare him for royal responsibility. With magic and a few lapses of historical accuracy, the adventures of jousting, falconry and medieval derring-do make for a thrilling epic, much more gritty than the Disney adaptation. A stunning picturebook for children and adults, expressing so much without words. A man leaves his homeland in search of a better life. We follow him and other immigrants, as they try to communicate, settle and find work. The story ends with his family joining him, looking forward to the future. 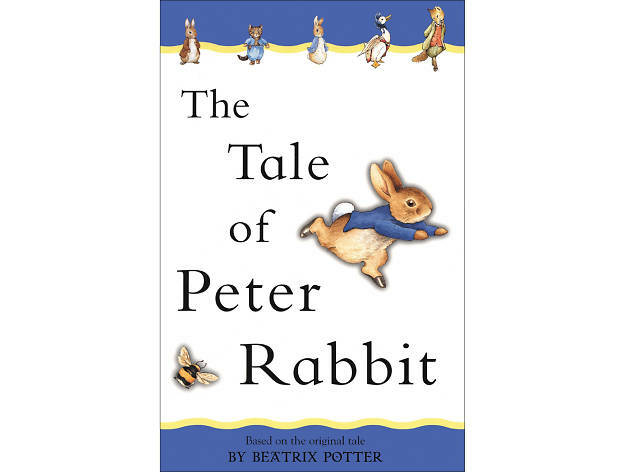 This tale about young rabbits is anything but cuddly. Fiver, Hazel and their companions must leave their warren, but in order to reach the safety of Watership Down, they face immediate dangers – angry former friends, humans and predators – in their quest. A fabulous, poetic and at times heartbreaking read. 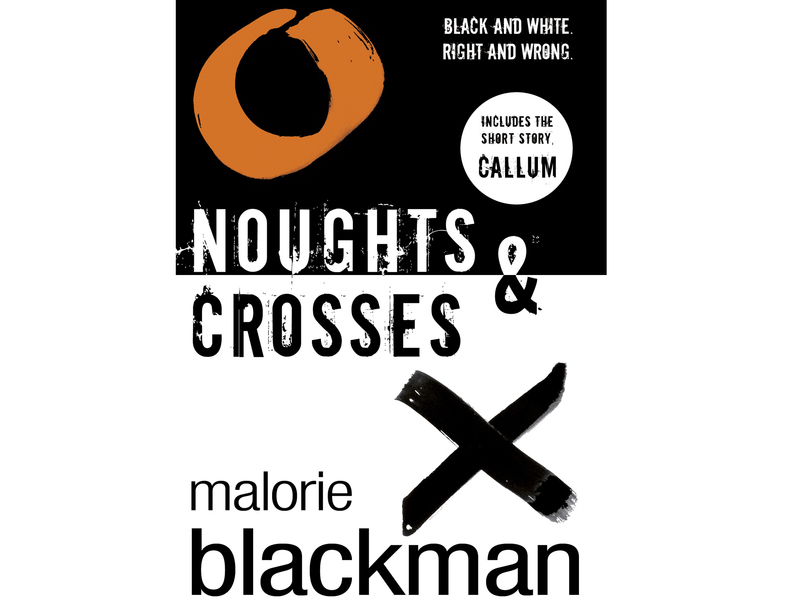 One of the great contemporary authors writing for older children and teens, Blackman created a thought-provoking modern classic when she launched the ‘Noughts & Crosses’ series with this first novel – a story exploring power and prejudice and generations of two families torn apart by the racial and social division between the dark-skinned Cross class and the colourless Nought underclass. Fans of the sillier excesses of Roald Dahl and Roddy Doyle? Then you’ll love the smart, colourful, conversational genius of contemporary London author Andy Stanton. 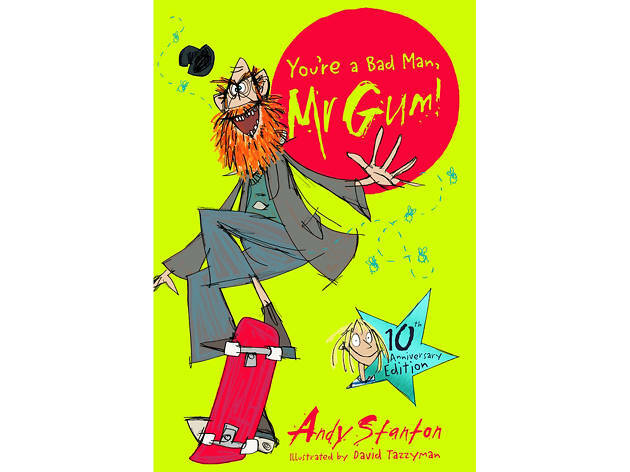 Greedy, miserable Mr Gum wants to poison a boisterous dog who keeps fouling up his garden. 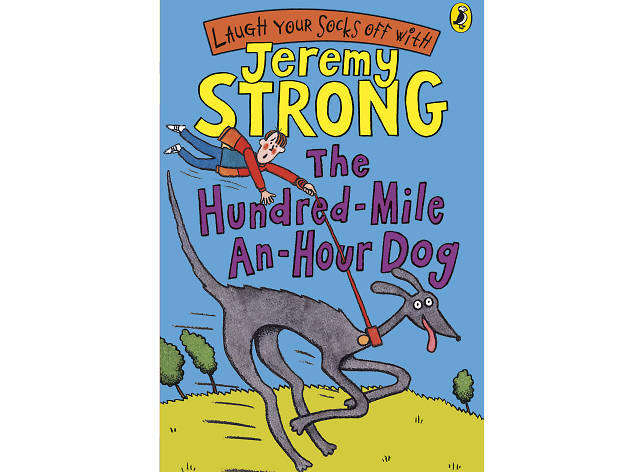 Can his ’orrible plan be stopped by a young girl, a hippy and the unruly woofer in this hilarious romp? 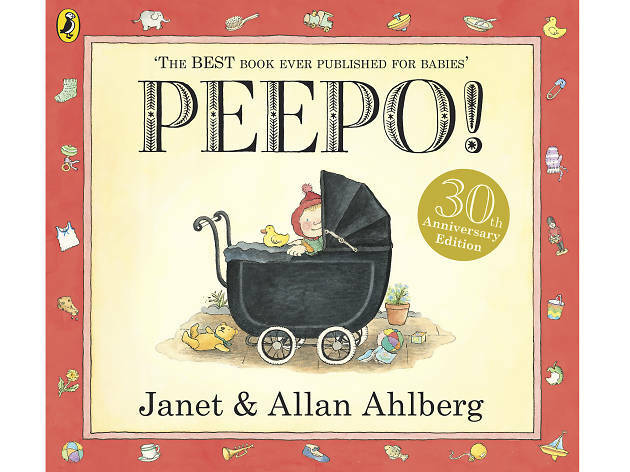 As young parents, author Allan and (the late) illustrator Janet Ahlberg created a beautiful evocation of the small world surrounding a baby – the view from the cot of mum and dad’s bedroom, the washing in front of a fireside and a loving family home. Each scene is first glimpsed through a little hole as we see this world through the child’s eyes: ‘Here’s a little baby. One, two, three…’ Nostalgic yet timelessly lovely. 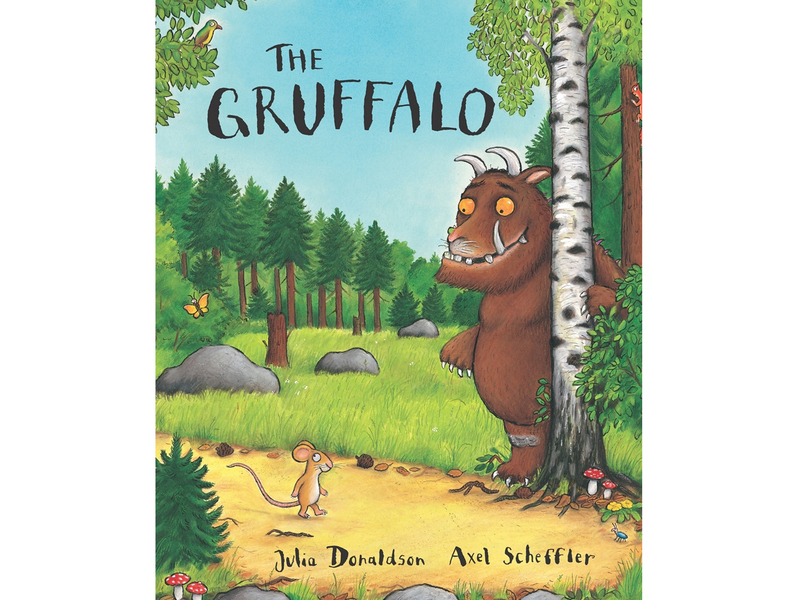 Donaldson’s genius for inventive stories and deft rhymes is matched perfectly by Scheffler’s playful drawings in this award-winning modern classic. A little mouse outsmarts the hungry forests’ predators, but can he talk his way out of being eaten by the knobbliest monster of them all? Didn’t you know? There’s no such thing as a… oh! Dressed in his wolf costume, naughty little Max behaves like a wild animal around the house and is sent to his room in disgrace. There he suddenly finds his surroundings magically transformed into a strange new world. 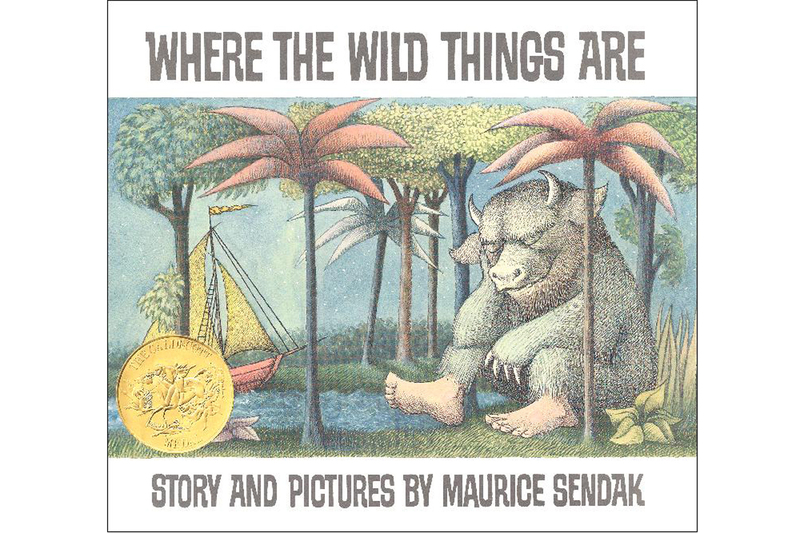 He sails to an island and becomes the king of the beastly Wild Things. But eventually, after lots of untamed fun, Max decides there’s no place like home and returns to his family. An American classic that salutes creativity and individuality. Smalltown boy Emil is taking his first trip alone to visit family in Berlin. 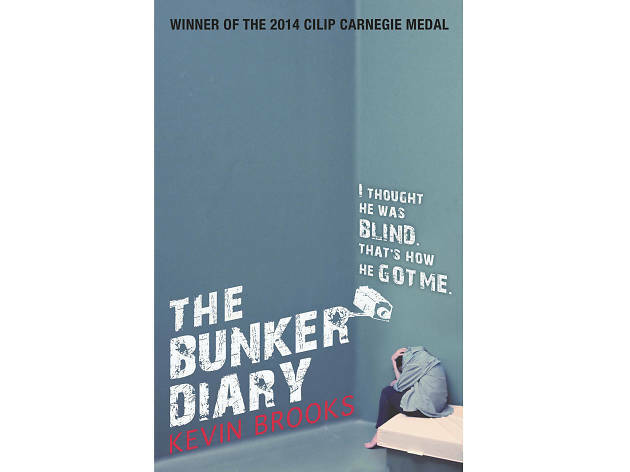 When he loses the money his mother gave him he is sure the suspicious man on the train has stolen it, but can he go to the police without proof? When he meets a gang of streetwise kids in the city, Emil finds his own way to get justice in a funny, fast-paced adventure that’s as fresh now as it was when it was published in 1929. 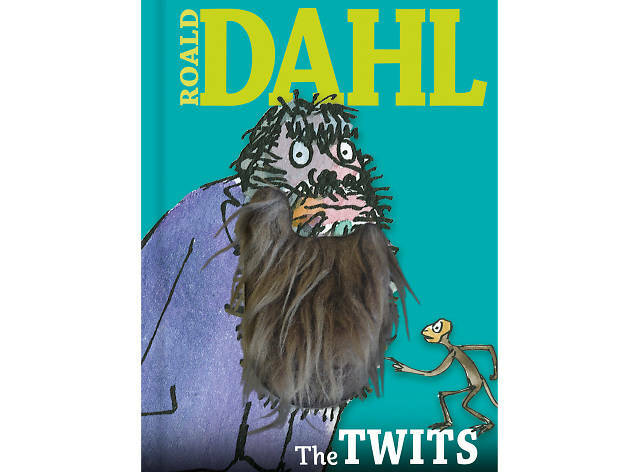 Roald Dahl’s delicious fantasy, like the earliest fairy stories, has a cautionary tale contained inside. 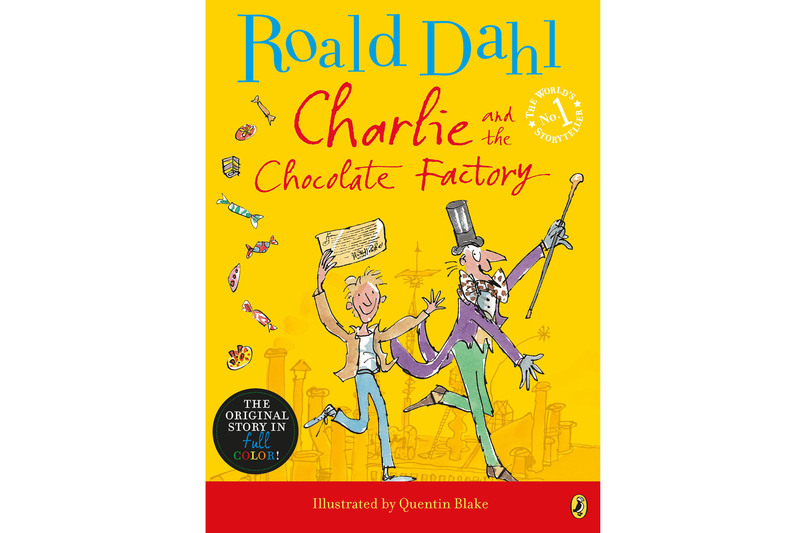 One by one, the children who have won the chance to meet the reclusive chocolate magnate Willy Wonka are punished for their brattishness. 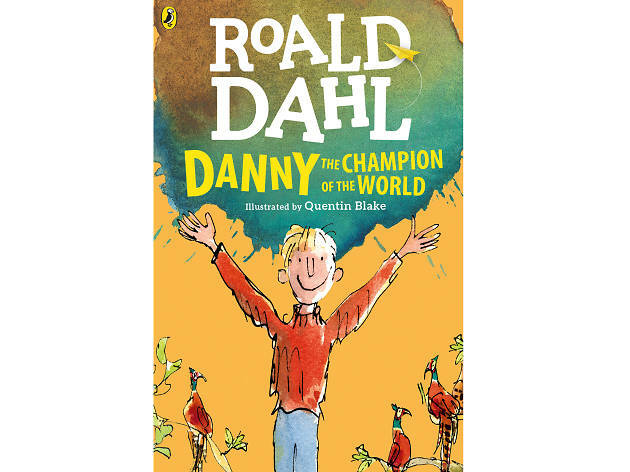 Dahl revels in the rich descriptions of each scene, every character and even the sad, squalid home life of the book’s anti-hero, the unassuming little Charlie Bucket. 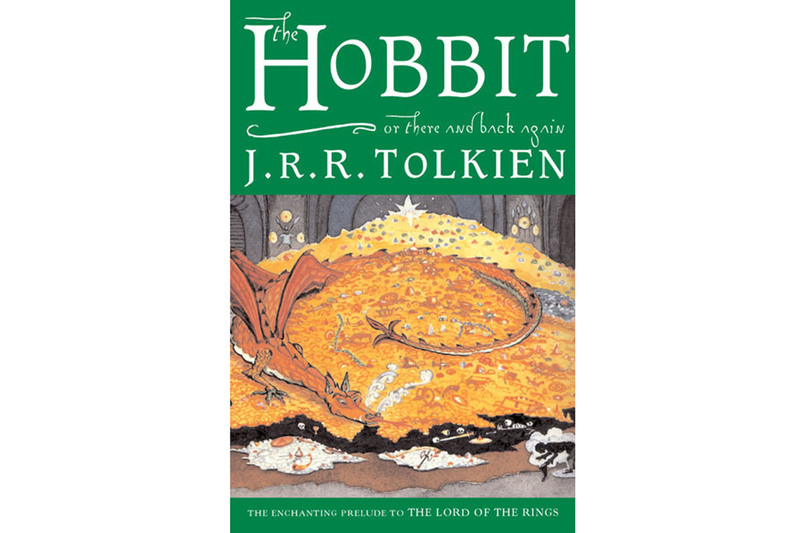 Tolkien never expected his story about Bilbo Baggins to be such a huge hit, but its instant success inspired the epic sequel ‘The Lord of the Rings’. 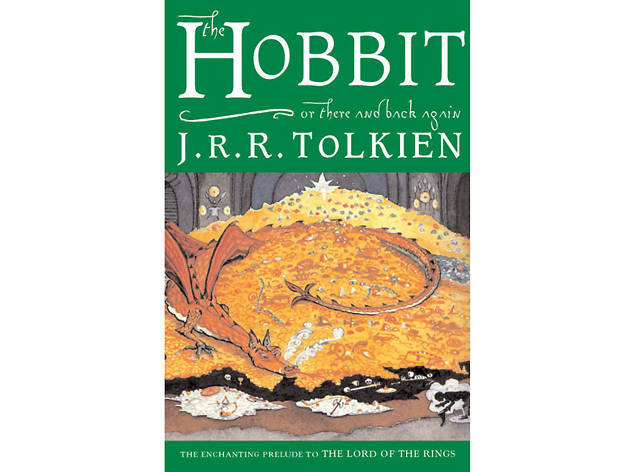 For younger fans of fantasy writing, this is a great place to start: a quiet, stay-at-home hobbit reluctantly finds himself on a daring expedition to raid the treasure hoard of Smaug the Dragon. 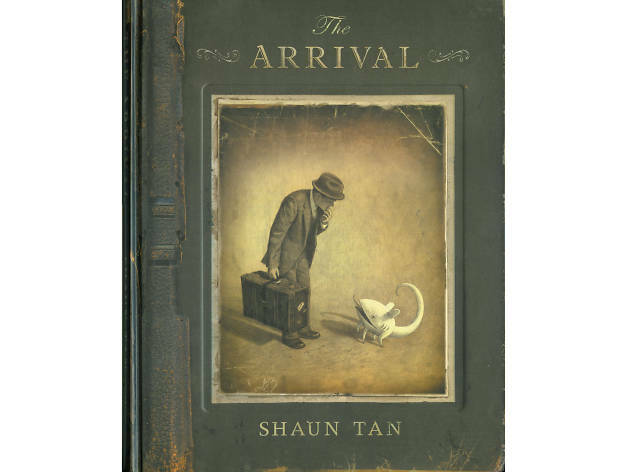 It’s a dense read, but it crackles with wit, imagination and adventure. 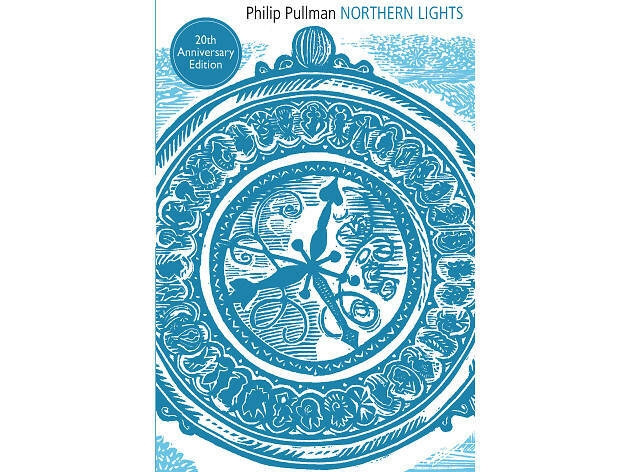 Pullman writes for teenagers with intelligence and originality. As a result, his celebrated ‘Dark Materials’ trilogy has proved a worldwide success with young and old alike. ‘Northern Lights’ is the opener – set in a parallel universe to ours, where science, magic and theology c-exist. Lyra is an orphan who goes in search of her missing friend and finds herself in a world of witches and ice bears. It’s a dazzling thriller that continues with a brand new trilogy, ‘The Book of Dust’. There are unwanted guests and then there are top-hatted, fast-talking cats who turn your house upside down while your mum is out… Two children find themselves at the centre of a magical, tongue-twisting mess when a cocky moggy turns up at the door. Can he help undo the cartoon chaos he causes before mum returns? 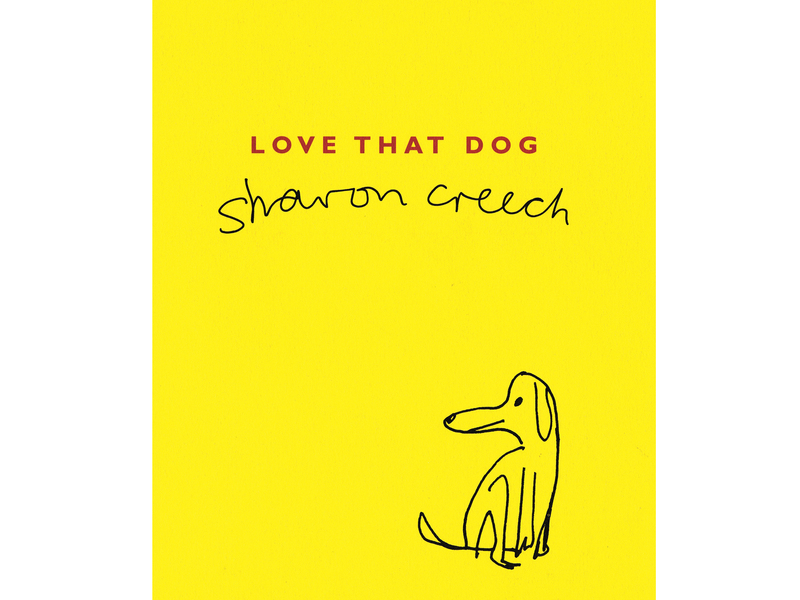 Clever and funny – a wonderful literary romp that should inspire a lifetime love of books. 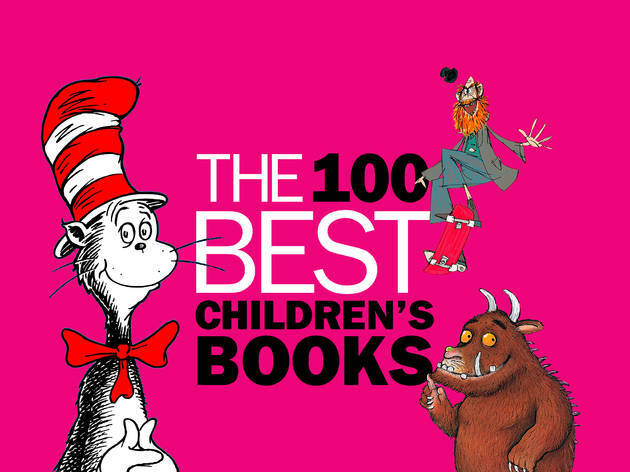 If our list of lovely kids' books has left you wanting to read more, hunt no further as we've teamed up with the bookshop Foyles to bring you our 100 best children's books all available to buy in one place. Take your pick, dive into your favourites and read on. 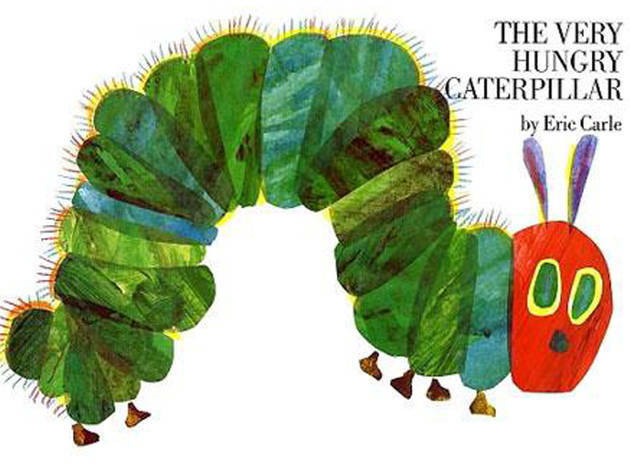 The 100 best children's books: who voted? To draw up our list we asked our team of writers, kids' book experts and several of the best children’s bookshops in London for their personal top ten favourites. We also asked a host of authors and illustrators including Cressida Cowell, Charlie Higson, John Boyne, Chris Riddle, as well as the current UK Children’s Laureate, Chris Riddell.